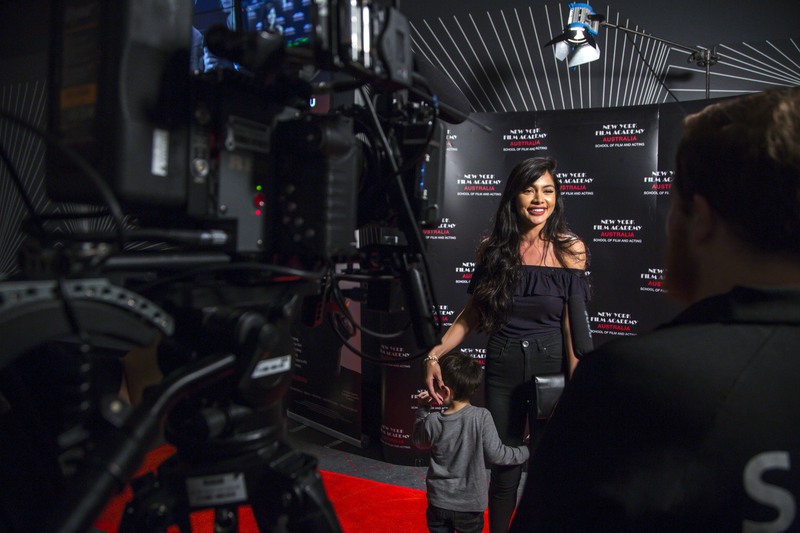 This Women’s History Month, which also includes International Women’s Day on March 8, the New York Film Academy joins the conversation on gender inclusivity with an updated Gender Inequality in Film Infographic as well as a full slate of events across its campus locations. 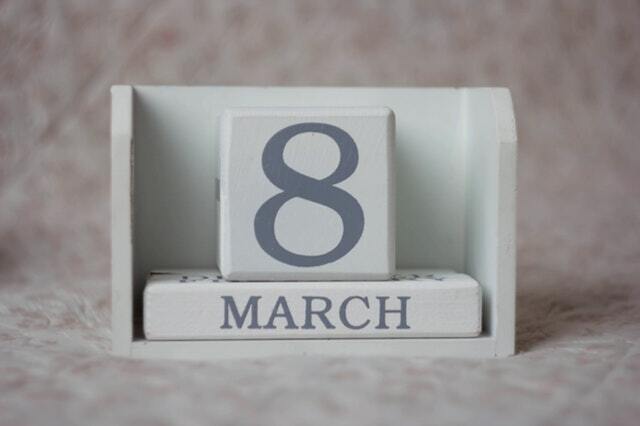 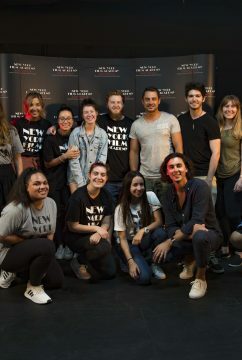 From International Women’s Day industry panel events to film screenings and raffles, check out NYFA’s calendar of Women’s History Month activities, below, and join us on campus in Los Angeles, New York City, South Beach, and NYFA Australia, Gold Coast. 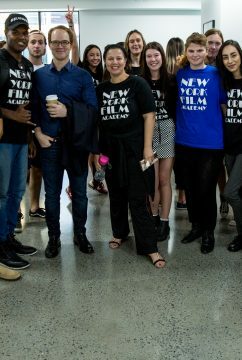 And on social media, we’ll be shouting out to many of the Women of NYFA — alums who are doing incredible work in the community, in the entertainment industry, and beyond. 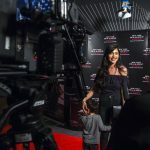 Lisa deLarios – Lisa has toured the country featuring for Zach Galifianakis, Paul F. Tompkins, Anthony Jeselnik, and Maria Bamford among others. 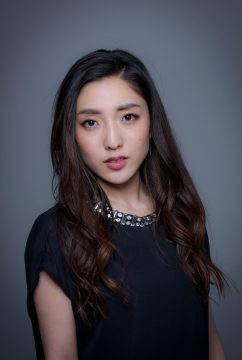 She was showcased on Comedy Central’s Live at Gotham and has been a frequent guest on Doug Loves Movies. 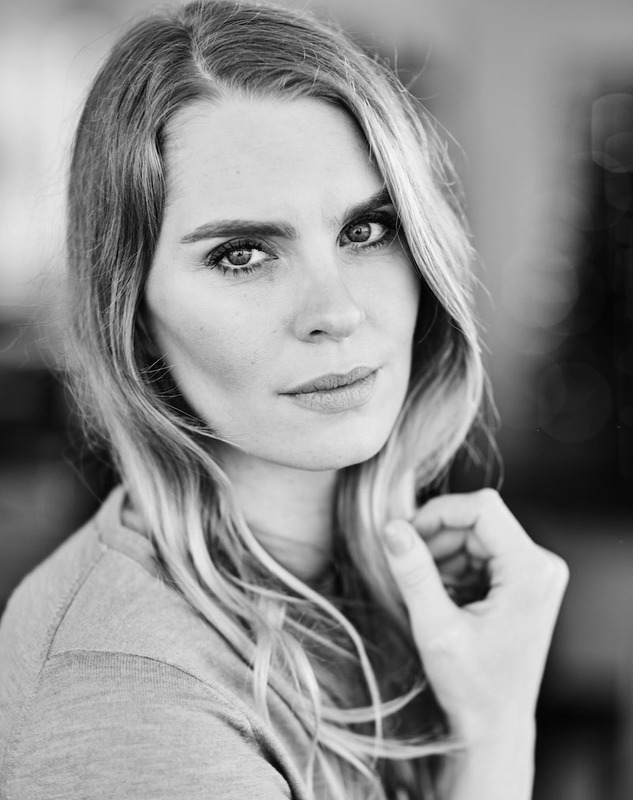 Laura House – Laura is a headlining comedian who has performed on HBO, Comedy Central, NBC, and starred in MTV’s Austin Stories. 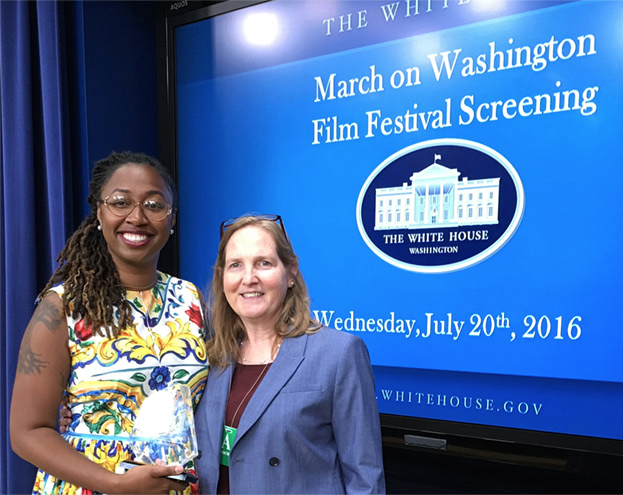 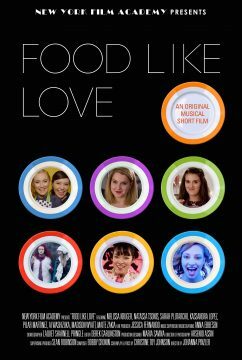 She written on the Emmy-winning shows Mom and Samantha Who, BAFTA-winning Secret Lives of Boys, as well as Nicole Byer’s Loosely, Exactly, Nicole, The George Lopez Show, Mad Love, Blue Collar TV & more. 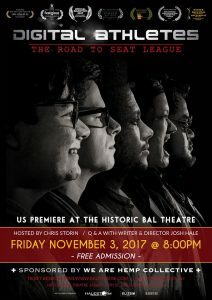 Jackie Kashian – Jackie is a comic whose new album, I Am Not The Hero Of This Story, was the #1 comedy album on iTunes and Amazon. 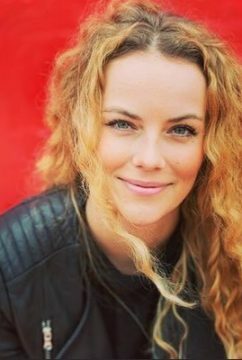 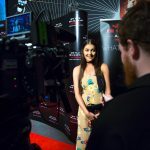 She is in the 12th year of her podcast The Dark Forest and has a new podcast on the Nerdist Network called The Jackie and Laurie Show. 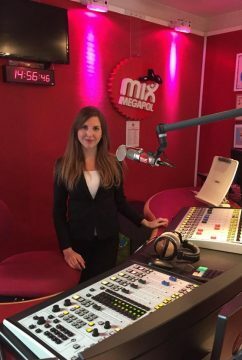 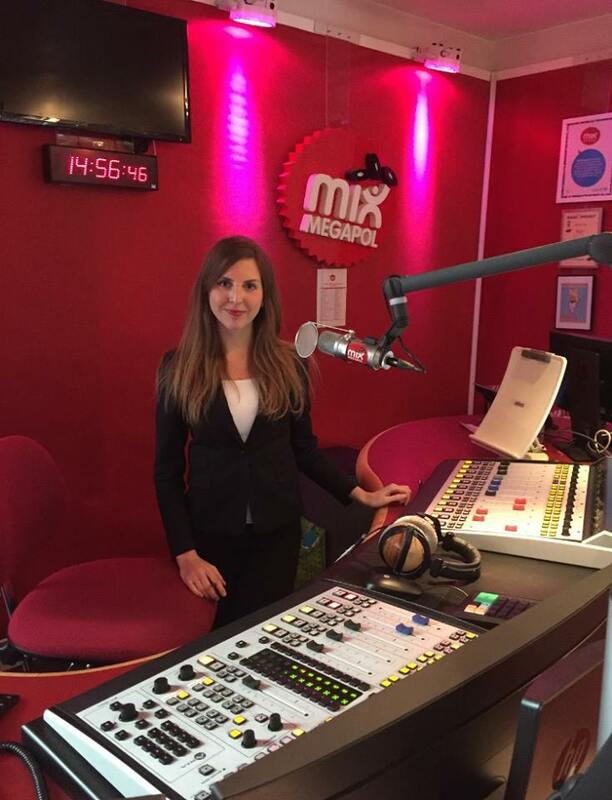 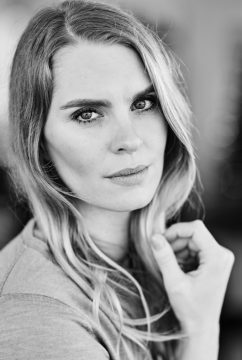 Annie Lederman – Annie was the co-host of We Have Issues on E! 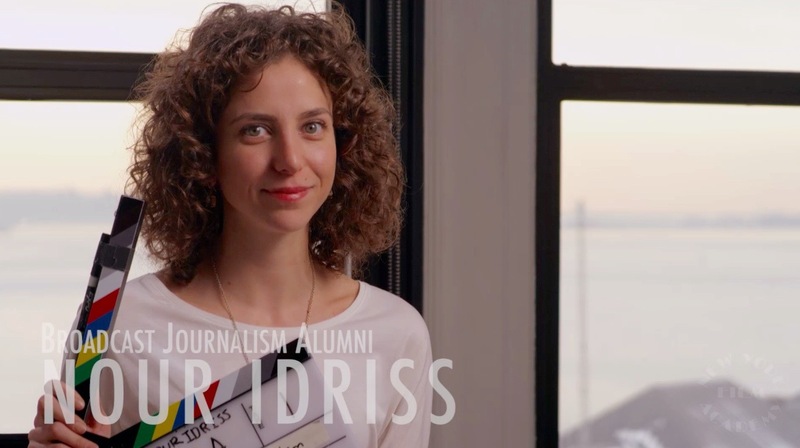 and has been a cast member on Chelsea Lately, Girl Code, @midnight, and Impractical Jokers. 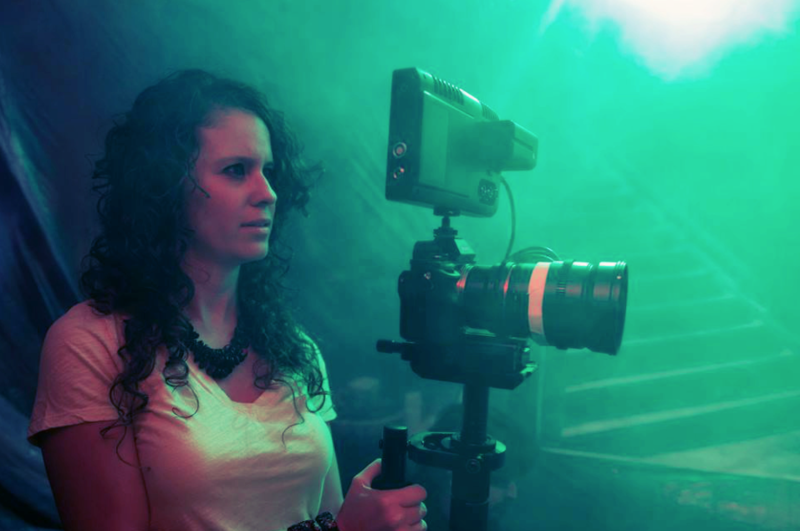 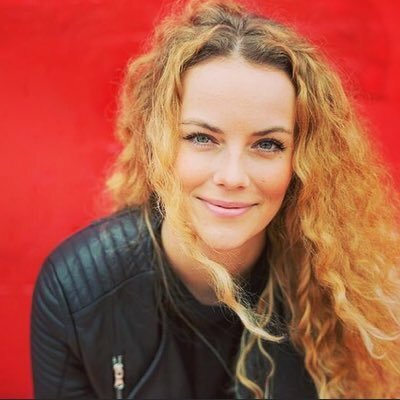 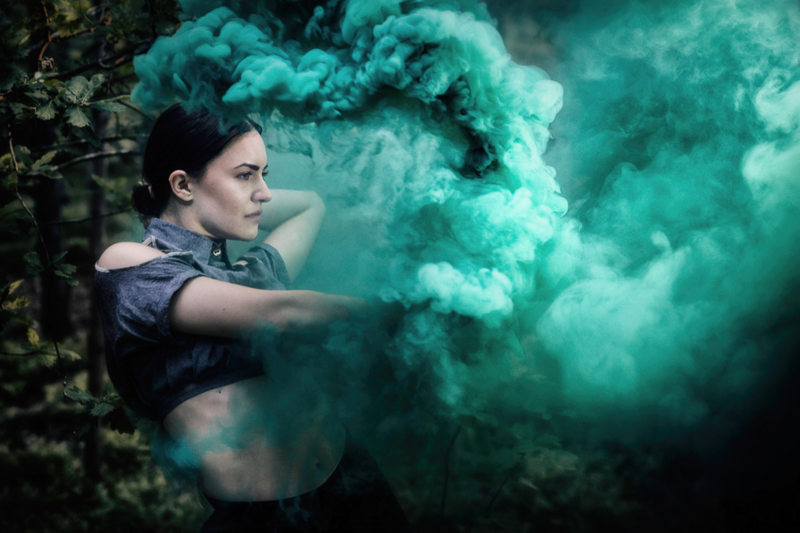 Kate Willett – Kate tours nationally and internationally, has been featured on Viceland’s Flophouse and Comedy Central’s This is Not Happening, and recently taped a Netflix special. 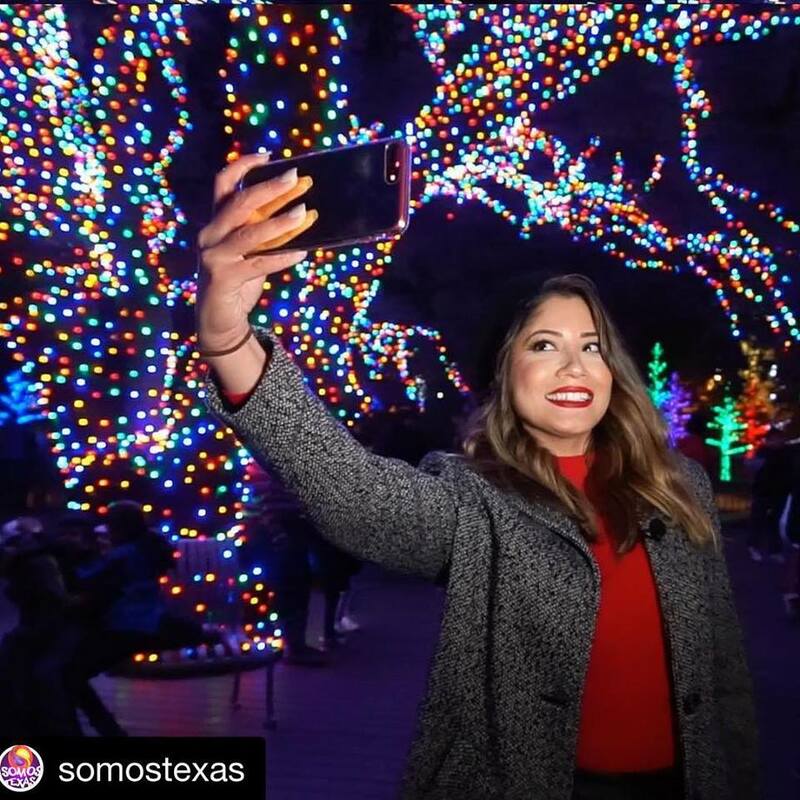 Vanessa Gonzalez – Vanessa was recently voted “Best Stand-up Comic” in the Austin Chronicle readers’ poll, and created and stars in the Mas Mejor web series Ms. Vanessa. 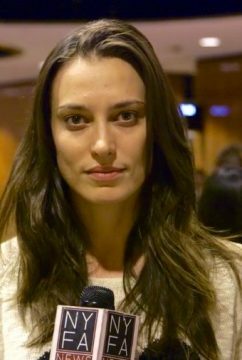 Jessica Sele– Jessica is a stand-up comedian who tours across the country, and has performed at the Bridgetown Comedy Festival and SF Sketchfest. She was written about in HuffPost. 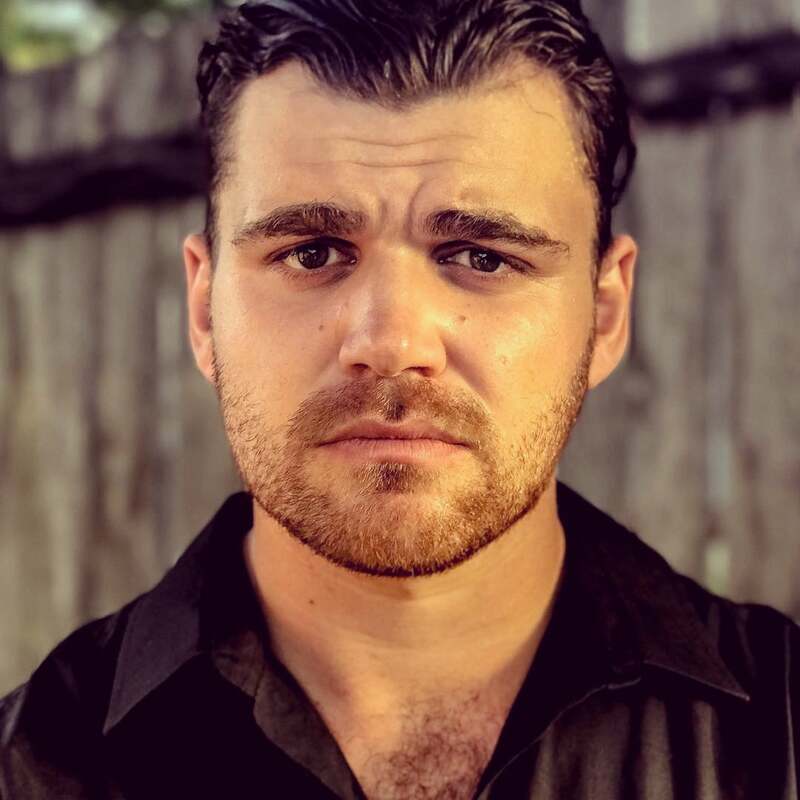 Ellington Wells – Ellington is a filmmaker and comedian who hosts the monthly stand-up show Blackberry Jam, and has worked on television shows such as Insecure, It’s Always Sunny in Philadelphia, and Baskets. 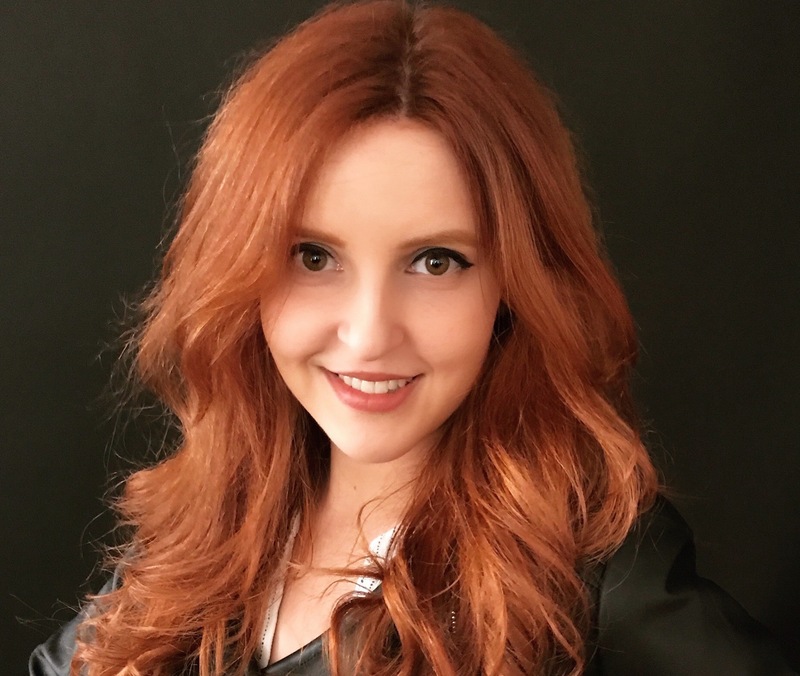 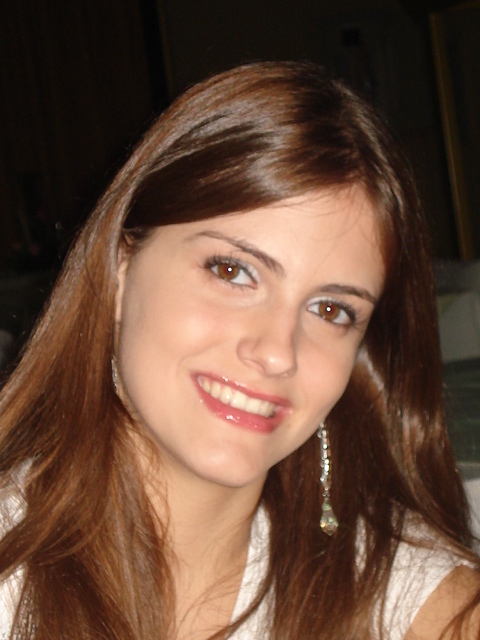 Kelly Gilmore – Sr. VP Marketing at Warner Bros.
Elvi Cano – Executive Director EGEDA U.S. 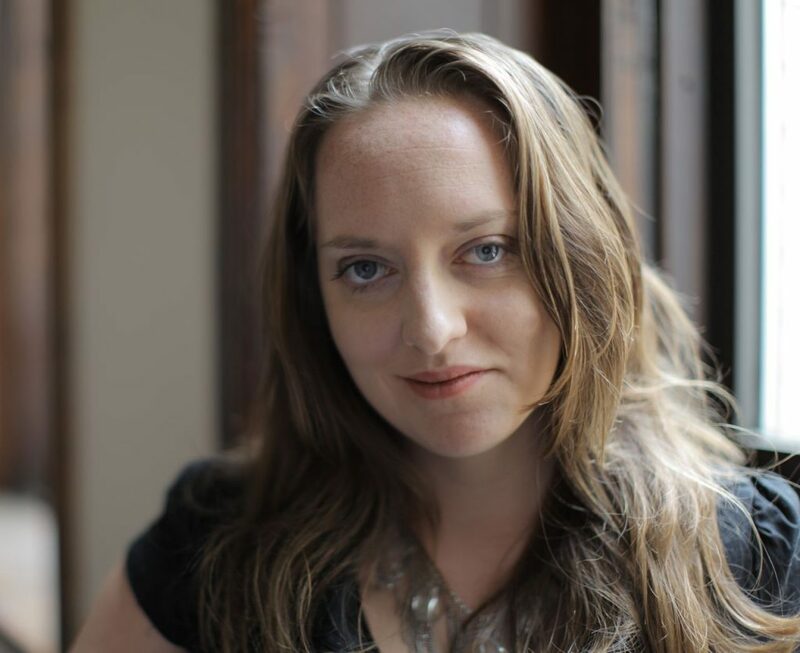 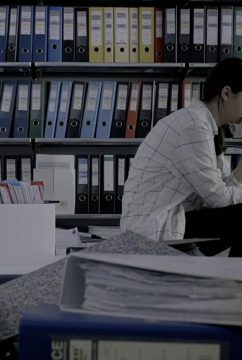 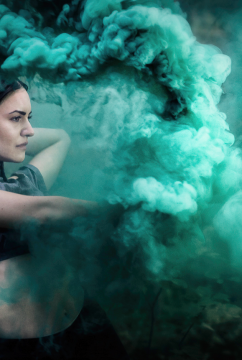 Exclusive screening of Oscar-nominated Netflix short documentary Heroin(e) with the film’s editor and special guest lecturer Kristen Nutile. 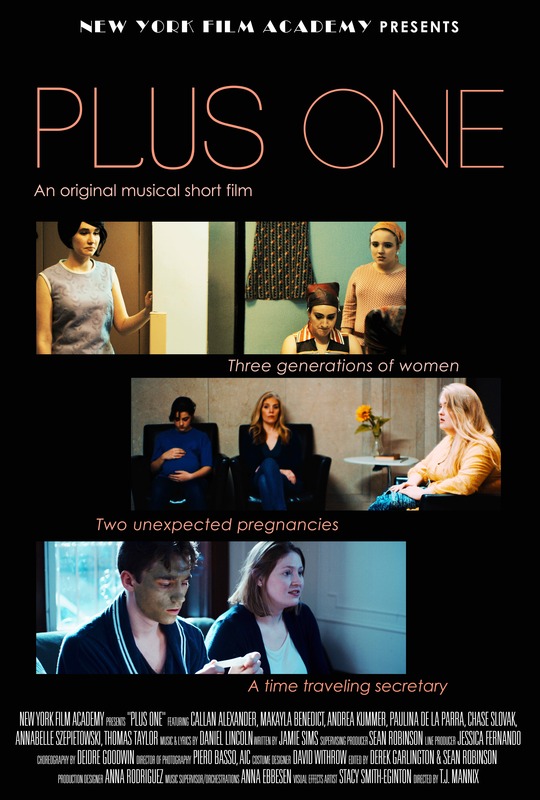 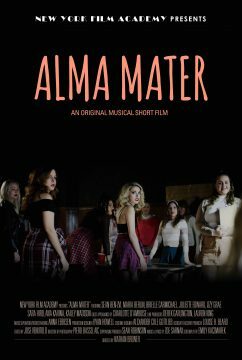 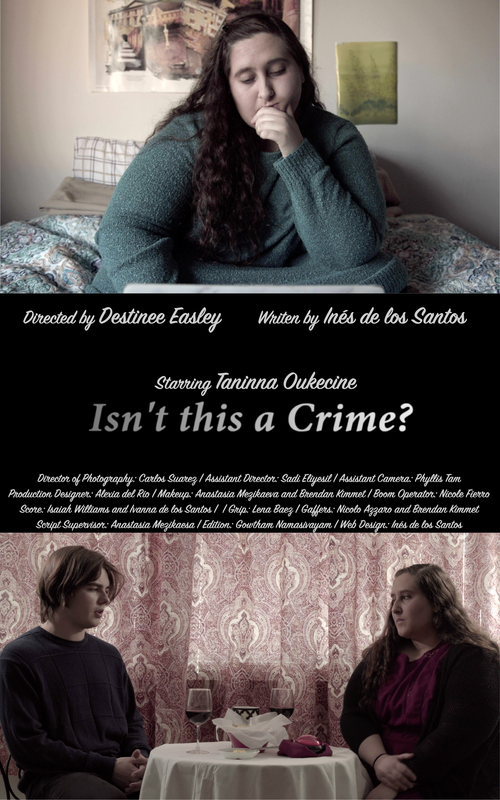 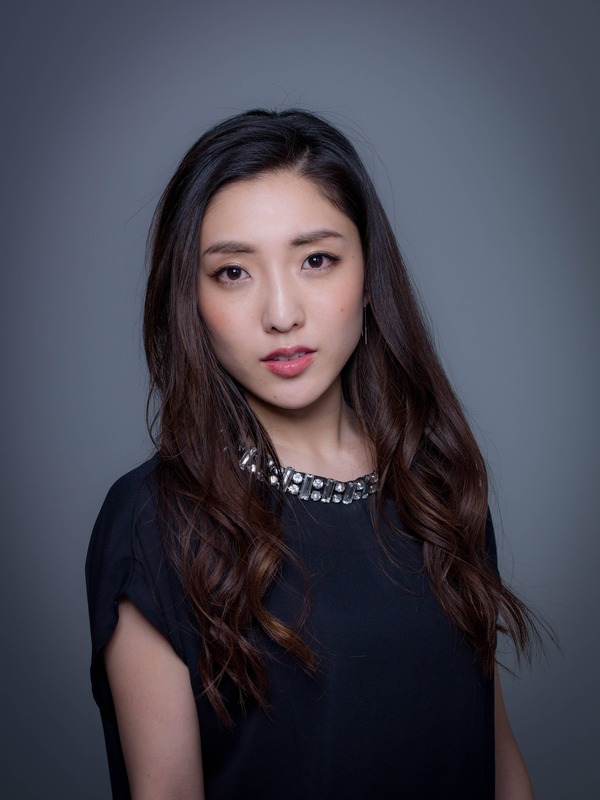 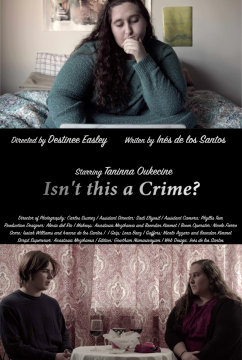 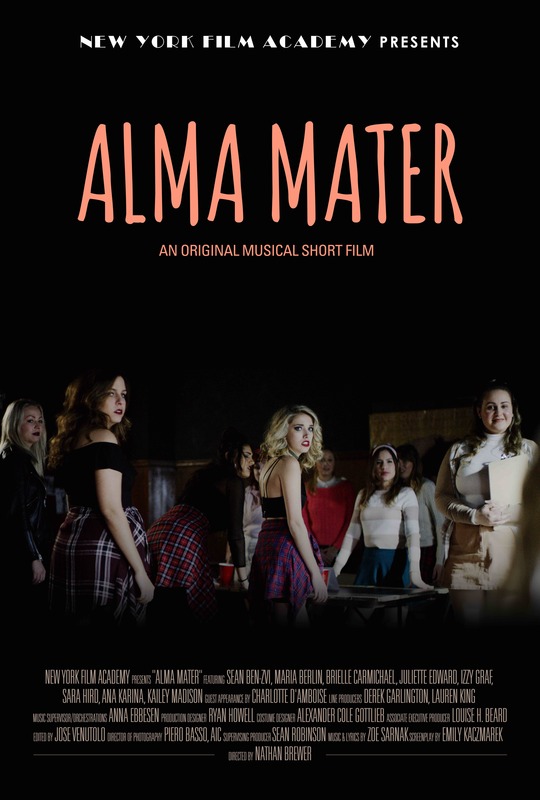 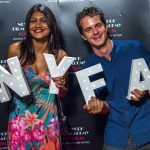 A gaggle of lucky NYFA students will win raffle tickets to attend the opening night of the Women’s International Film Festival. 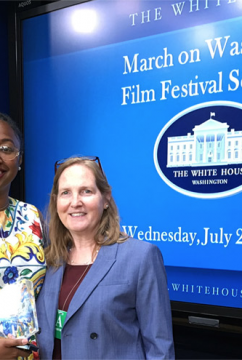 A screening series of films focused on female protagonists, including The Color Purple, Joy, Thelma & Louise, and Whip It. 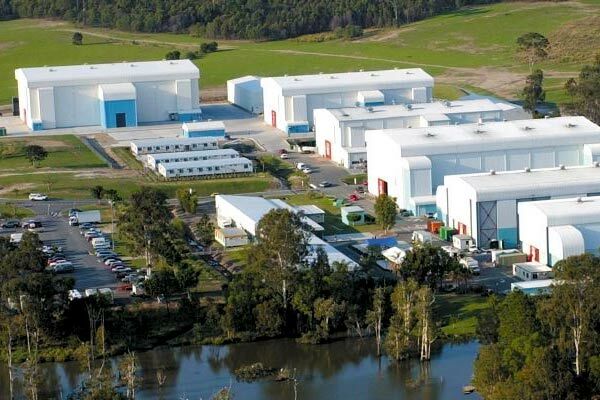 Want to find out about the plot of the next blockbuster film in the Jurassic Park series, “Jurassic World: Fallen Kingdom”? 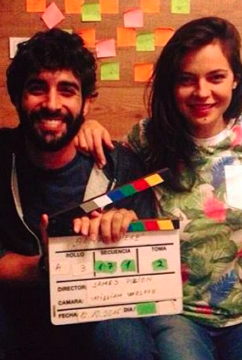 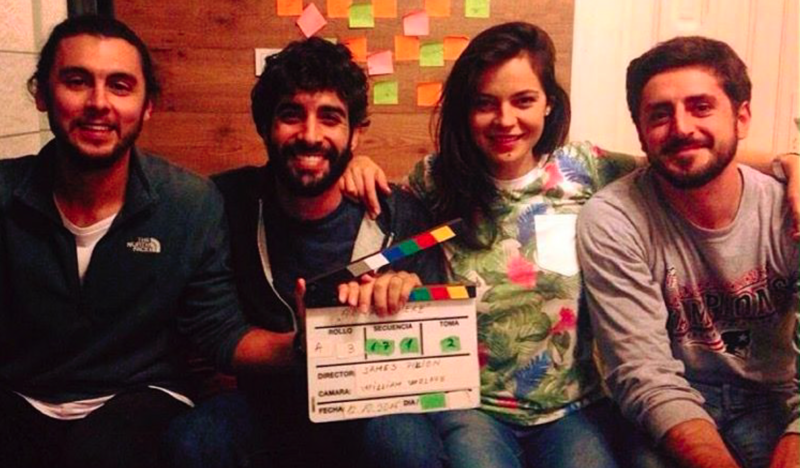 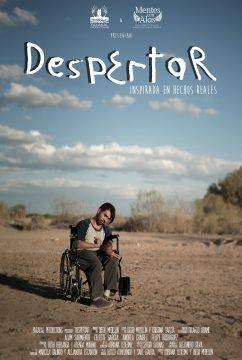 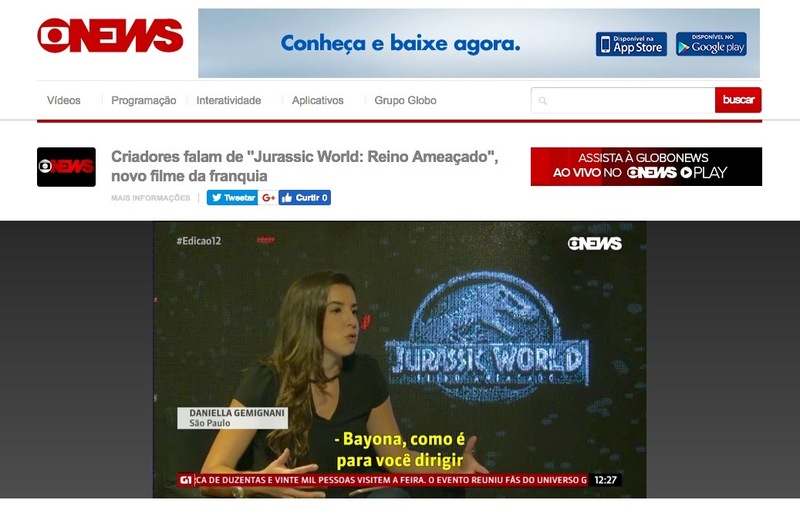 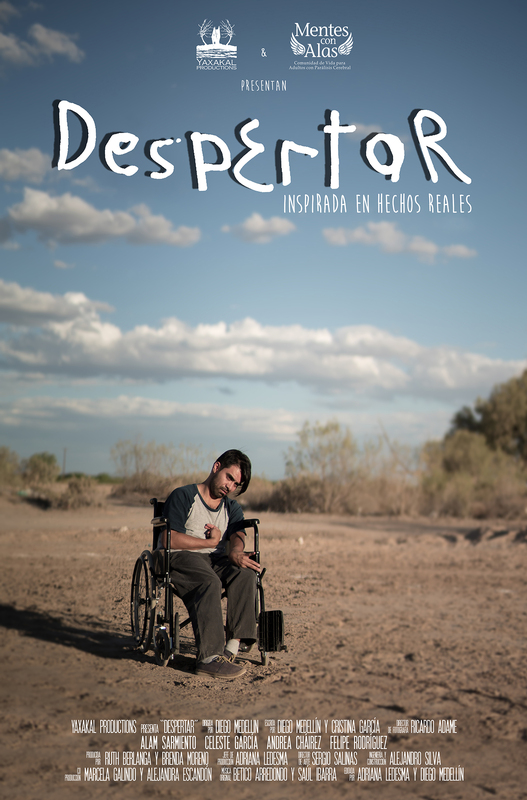 NYFA grad Daniella Gemignani interviewed director A.J Bayona for Globo TV in Brazil. 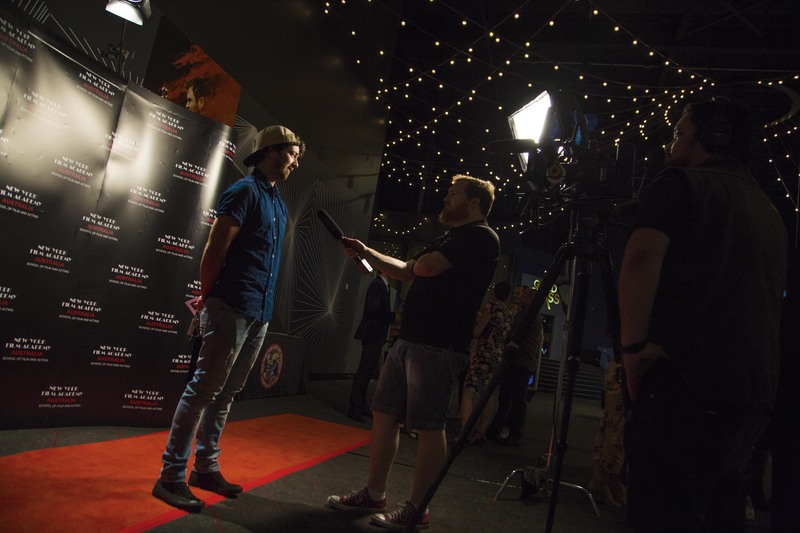 Bryanna Reynolds recently interviewed international entertainment legend Kylie Minogue at the Melbourne premiere of the “Swinging Safari,” which Bryanna describes as “an Australian comedy.” It’s a coming-of-age film that takes place in the 1970s. 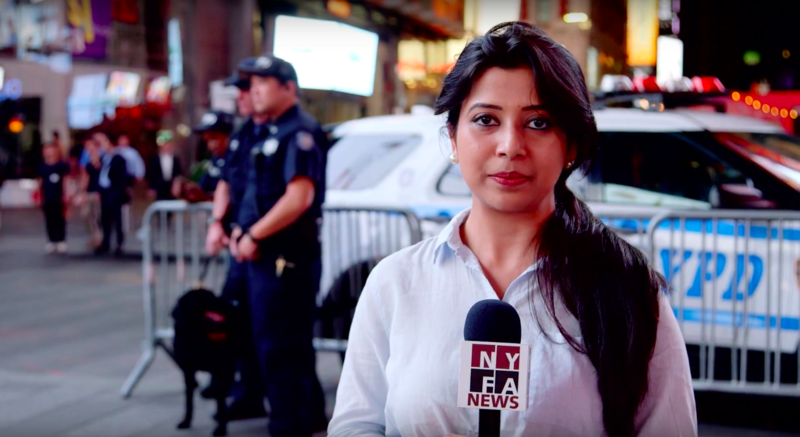 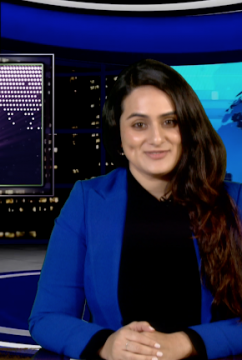 When Elina Mukherjee went to Times Square to report a NYFA student project earlier this year, she had no idea it would turn out to be a job interview for TV Asia USA. 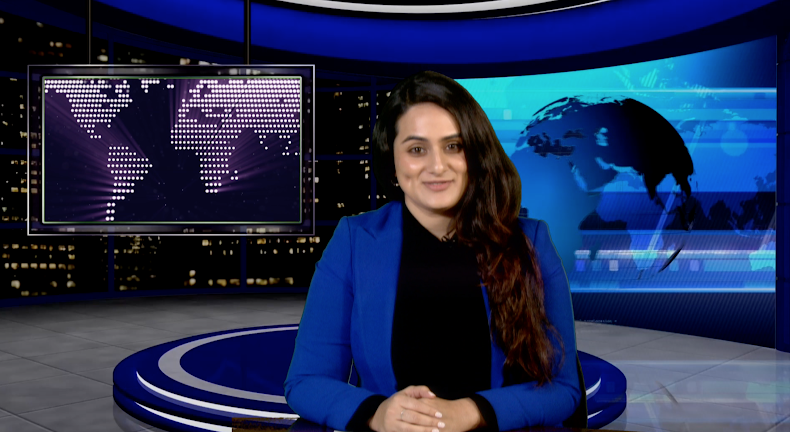 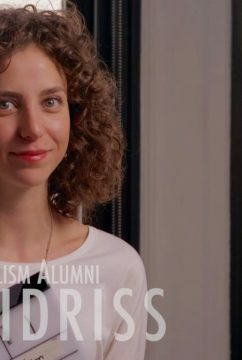 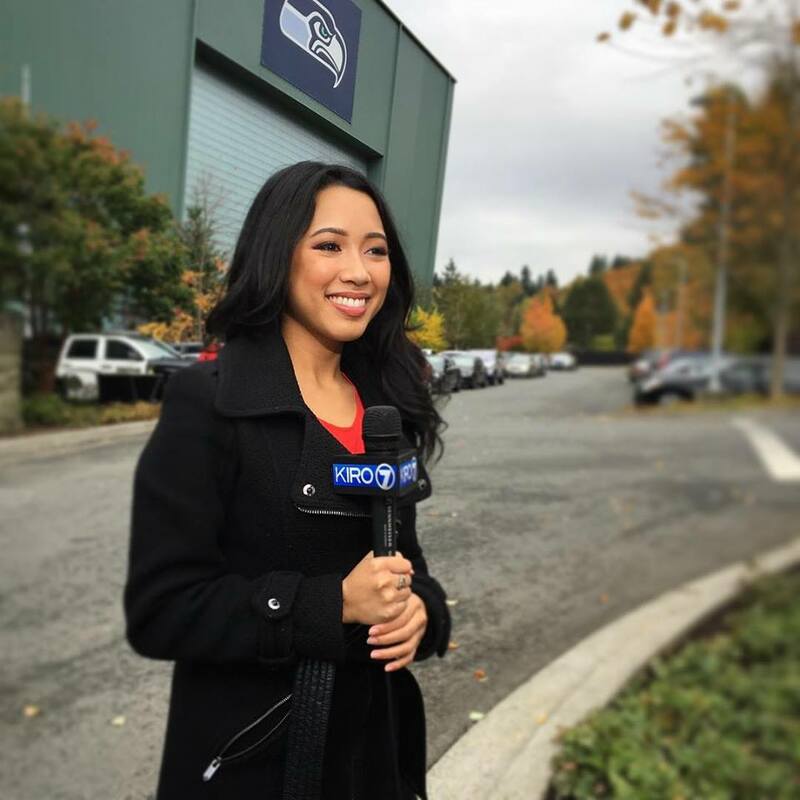 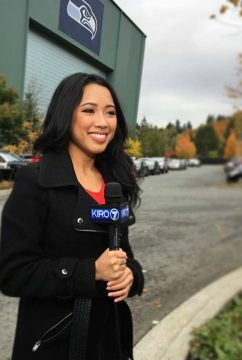 Someone from the New Jersey-based programming service saw her doing her stand-up, and he was so impressed he offered her a job as a freelance reporter after she graduated. 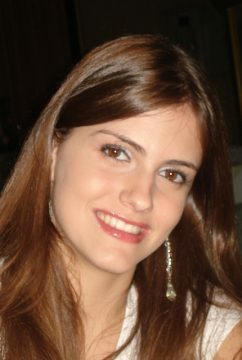 Her first assignment is the Global Healthcare Summit taking place in India. 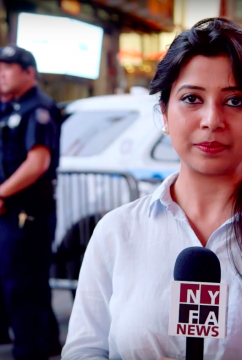 Then she will be reporting stories from Long Island, which is a suburb of New York City. 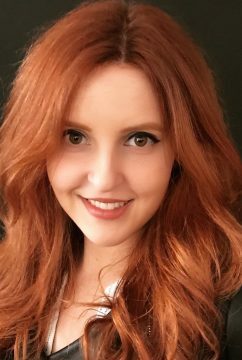 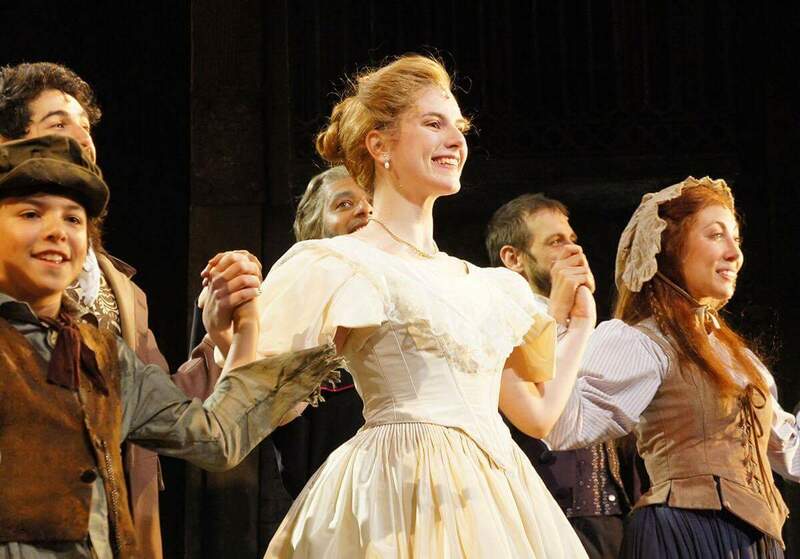 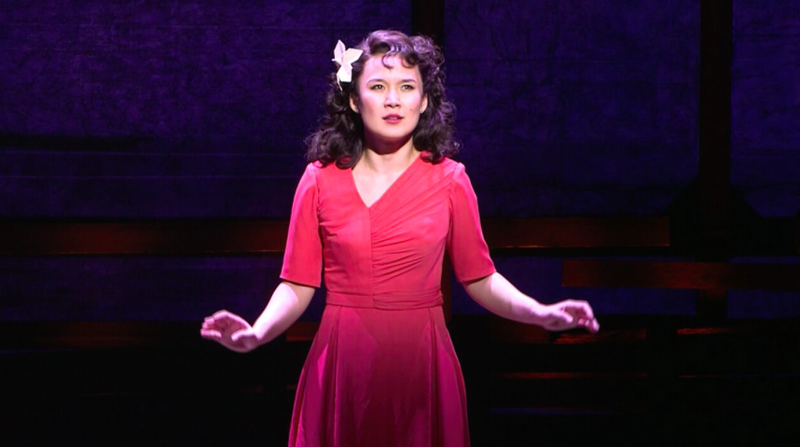 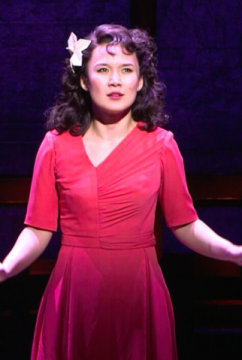 Congratulations, Elina! 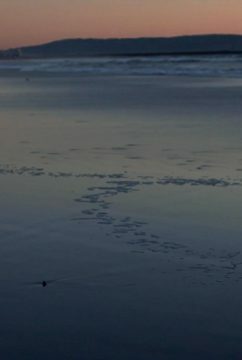 Finally, on a personal note, it was an amazing year. 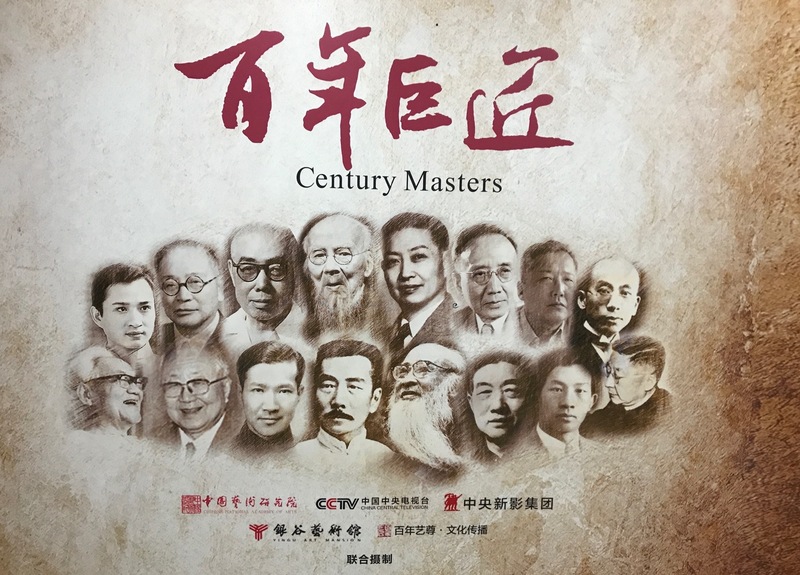 I never dreamed I’d be asked to participate in the international version of a major CCTV cultural history series … and end up as the host. 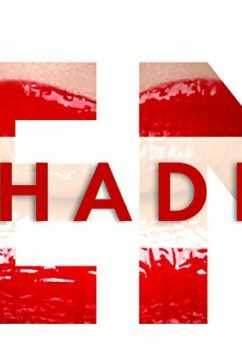 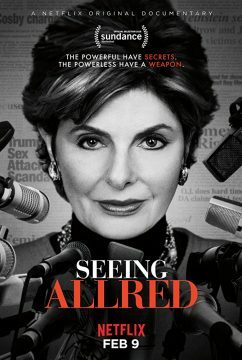 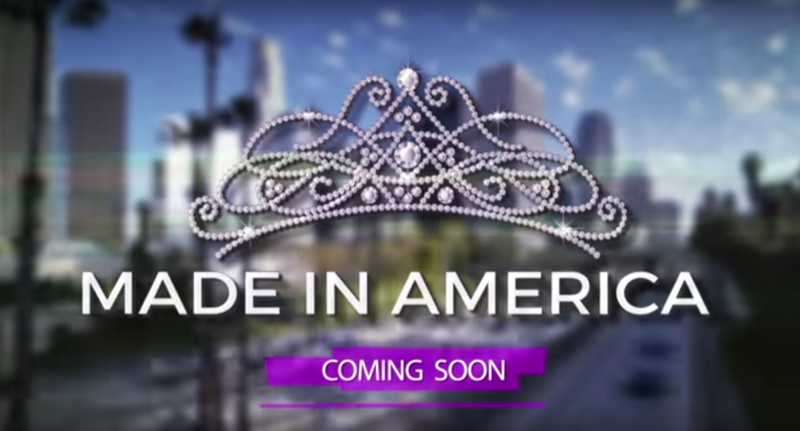 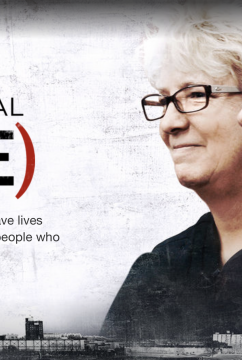 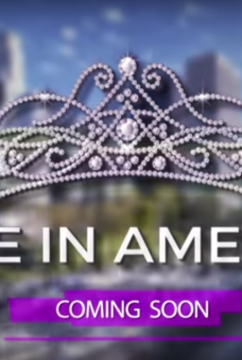 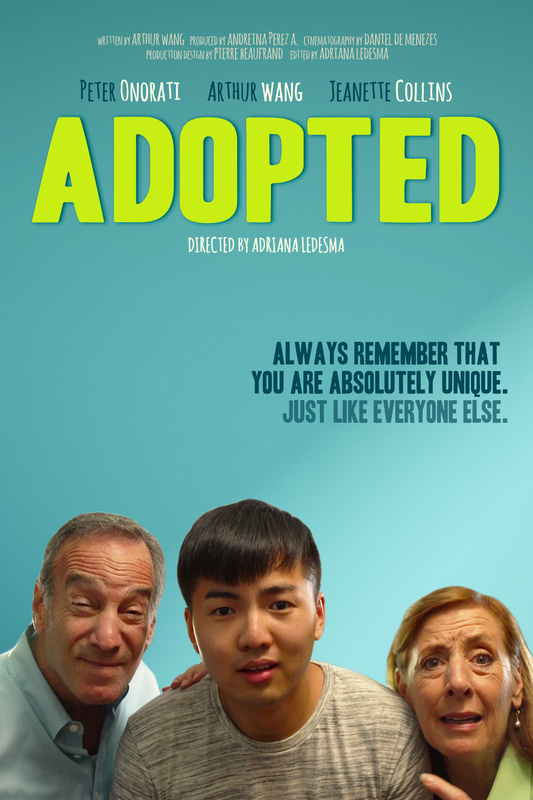 The six-part documentary series is headed to the MIPTV international TV market in Cannes next April. 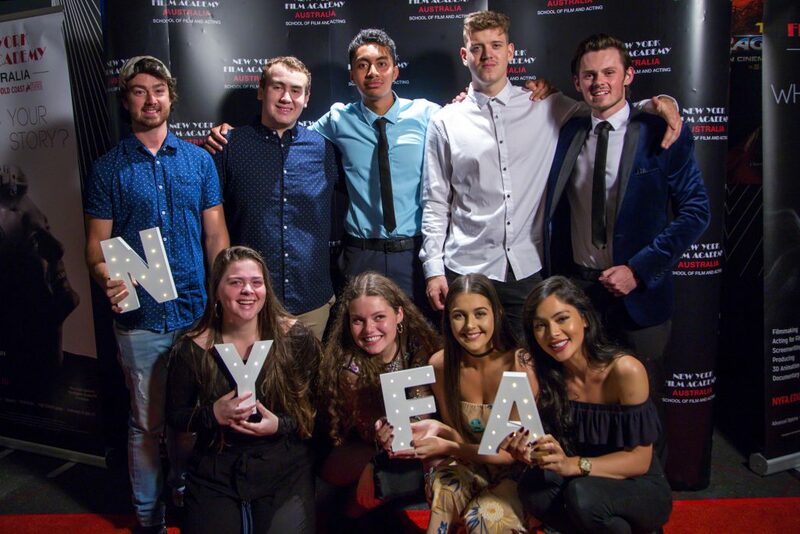 Have a wonderful holiday, whatever tradition(s) you follow, and I’ll be back next year with more news about the NYFA Broadcast Journalism department. 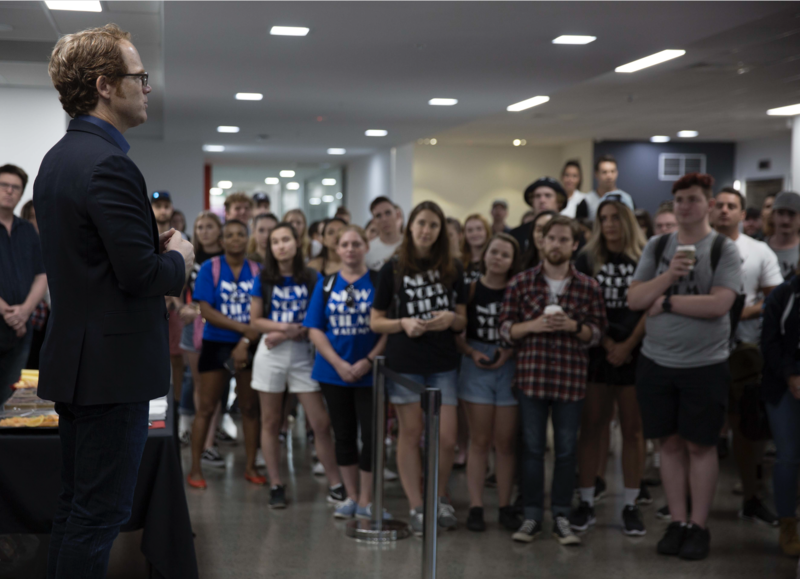 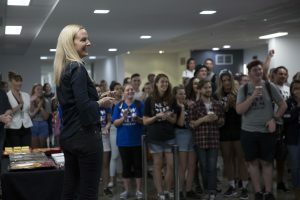 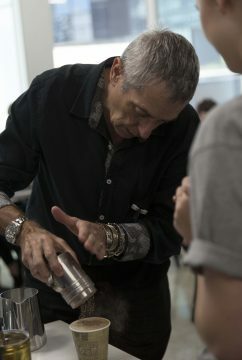 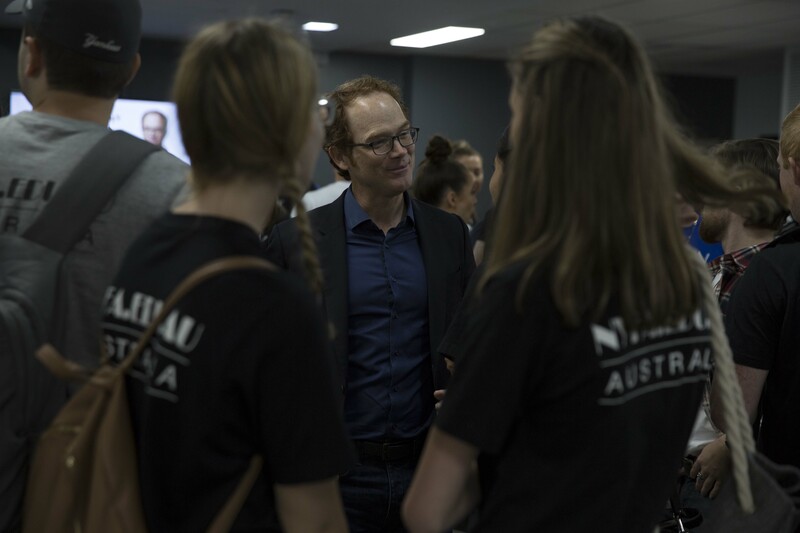 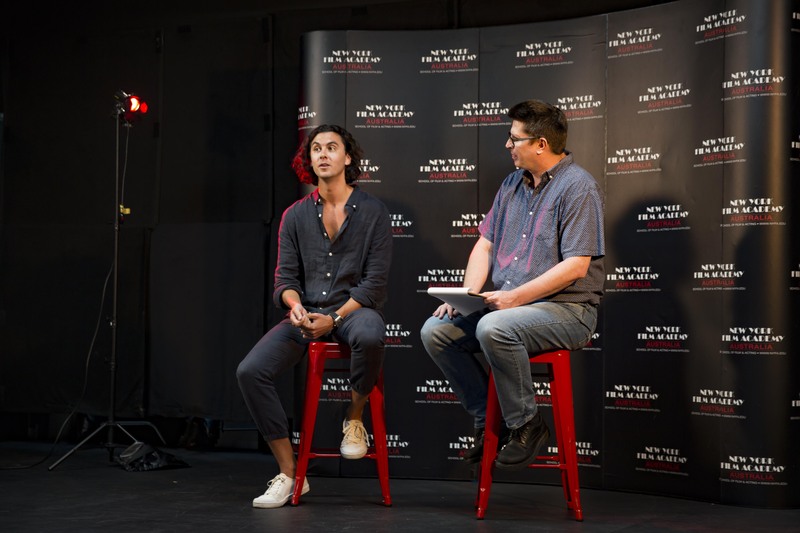 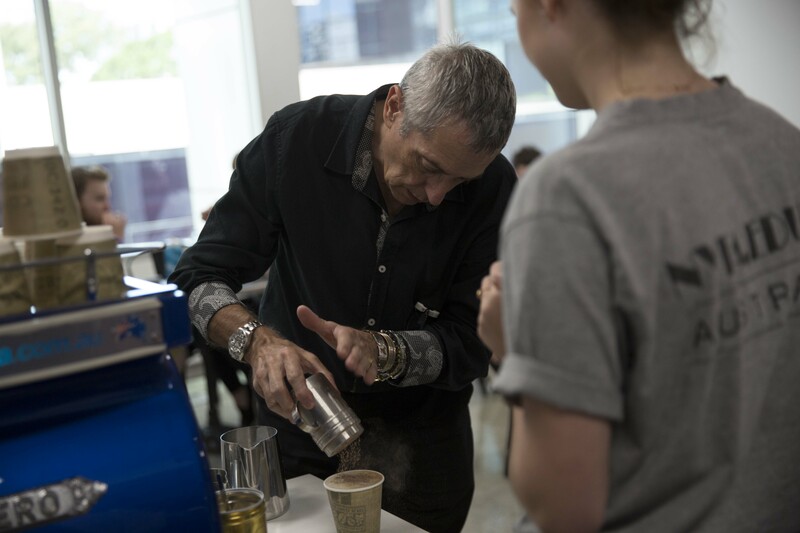 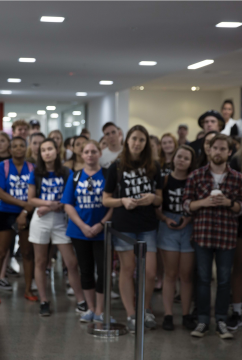 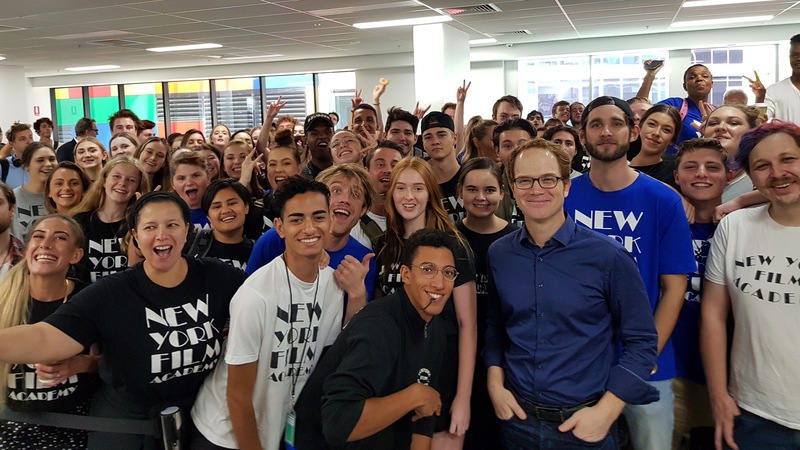 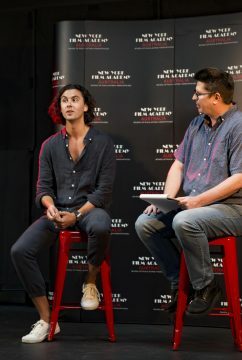 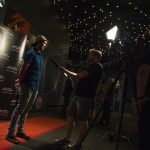 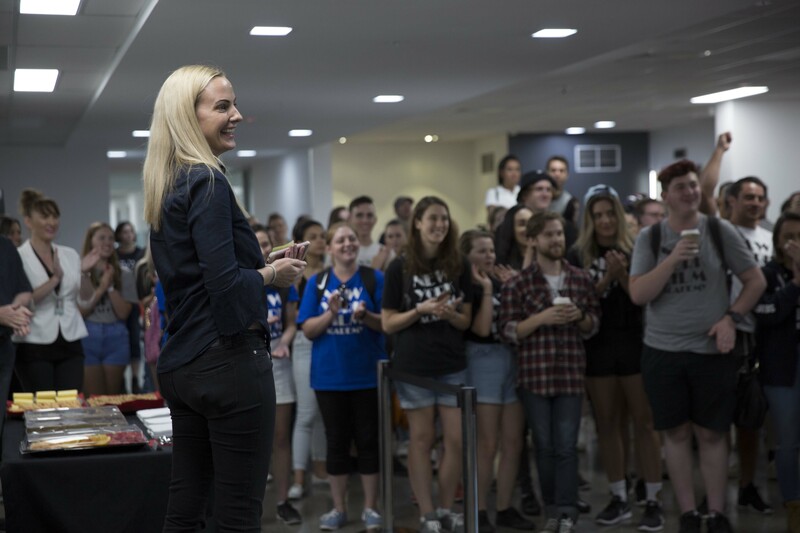 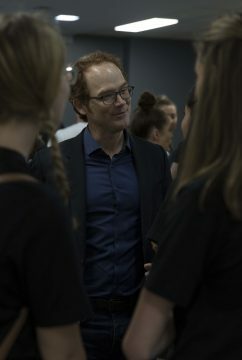 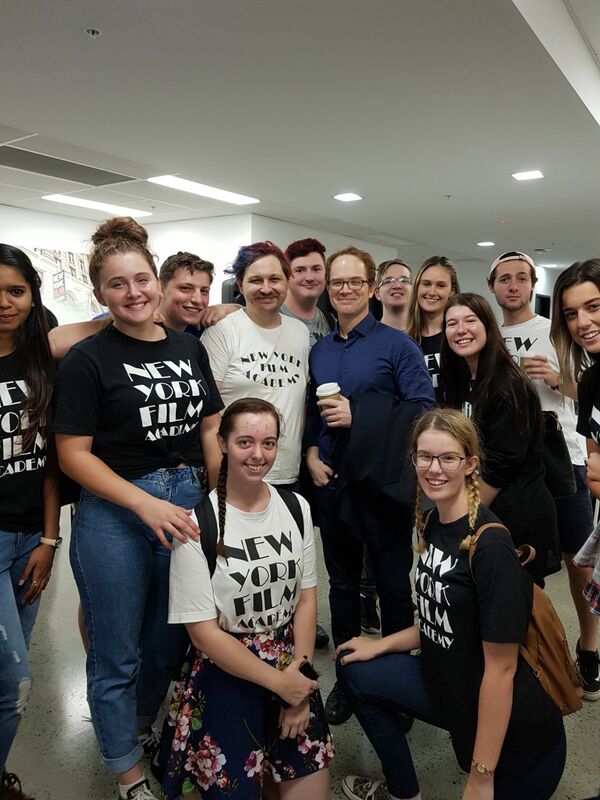 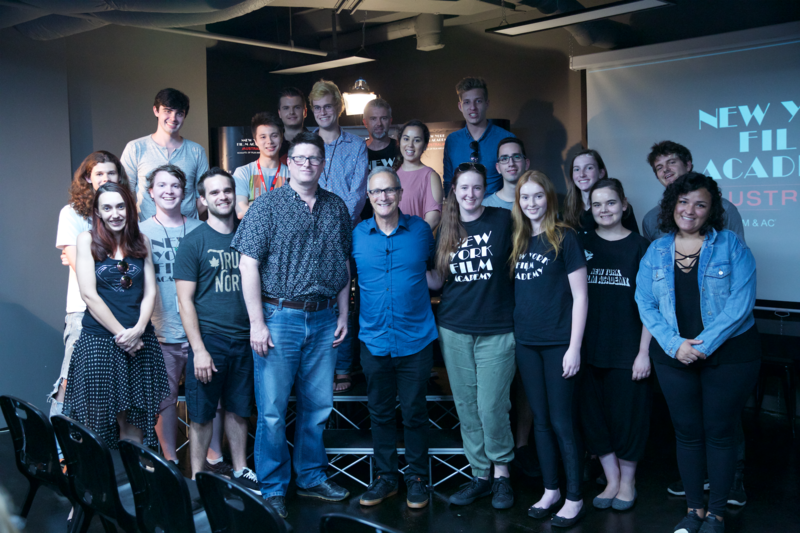 The New York Film Academy (NYFA) Australia welcomed Academy Award winner and former NYFA Australia instructor Ben Osmo to its Gold Coast campus for an exclusive event as a part of its continuing Guest Speaker Series last month. 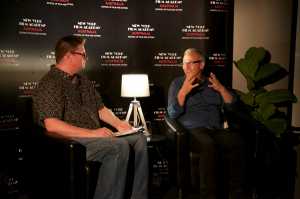 Osmo received the Academy Award for his work as production sound mixer on the critically acclaimed international Blockbuster hit “Max Mad: Fury Road,” a much-anticipated reimagining of the 1980s apocalyptic action thriller directed by George Miller and starring Charlize Theron and Tom Hardy. 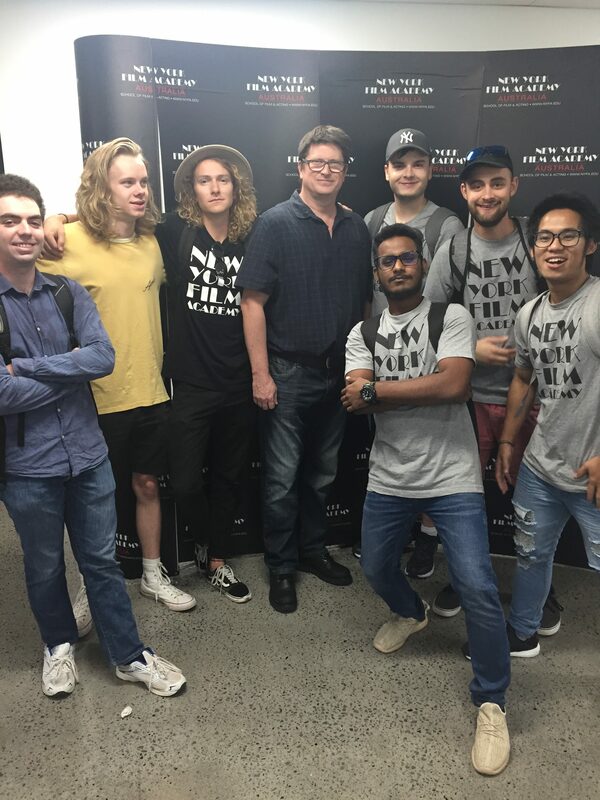 NYFA Gold Coast students and staff alike were thrilled at the opportunity to delve further into the realm of sound design and editing for film, an often under-appreciated yet integral component of a great movie masterpiece. 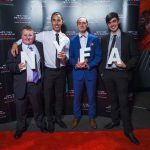 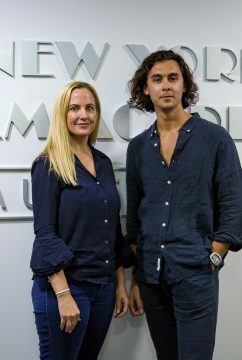 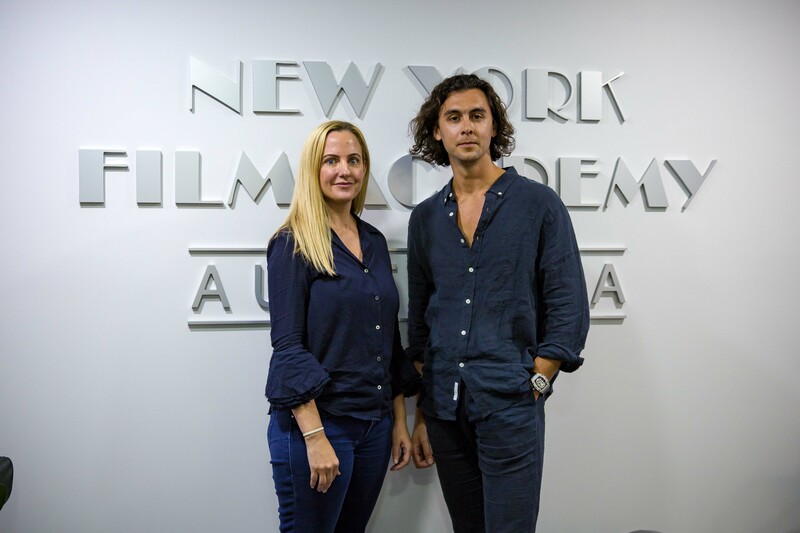 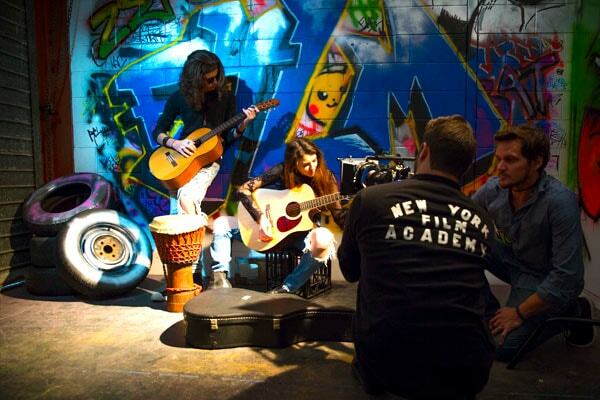 New York Film Academy Australia prides itself in offering students the opportunity to develop their own technical and creative abilities through continued mentoring and master classes with illustrious members of the film and entertainment industry. 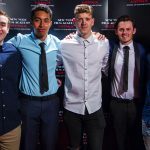 The list of sports films and sports comedies are endless, but not many movies have been about the burgeoning E-Sports wave, the billion-dollar industry of competitive video games. 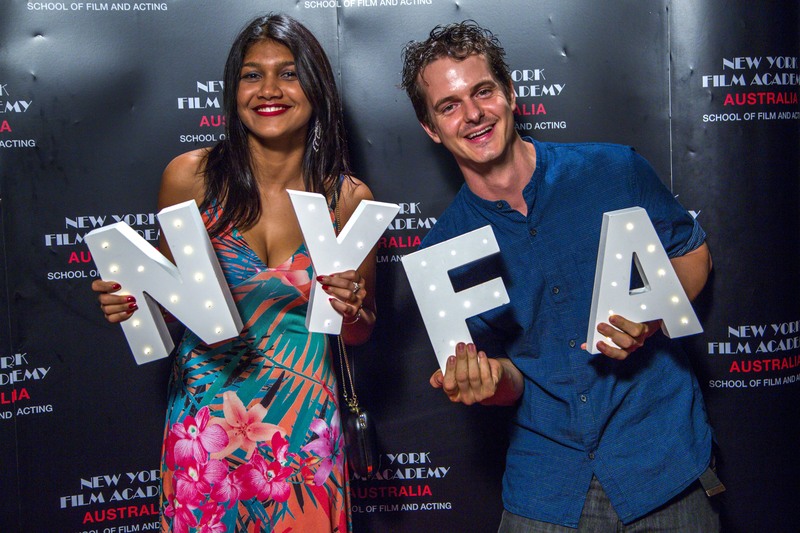 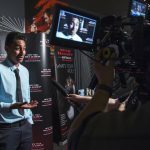 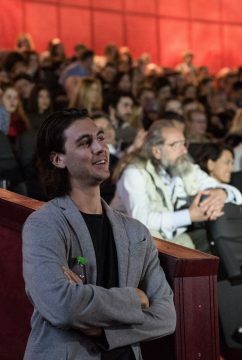 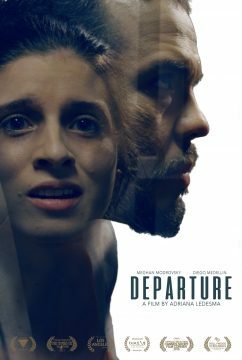 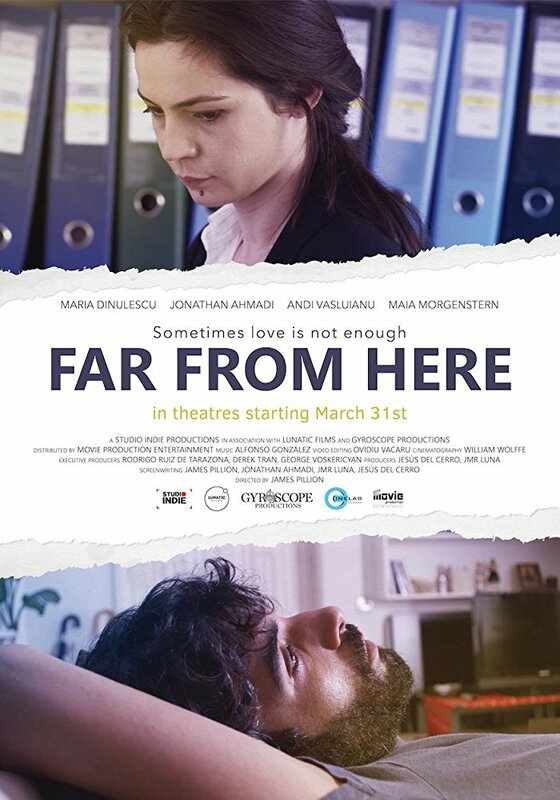 New York Film Academy Australia (NYFA AU) Gold Coast alumnus and California native Josh Hale sought to change that, and it’s starting to pay off for the filmmaker. 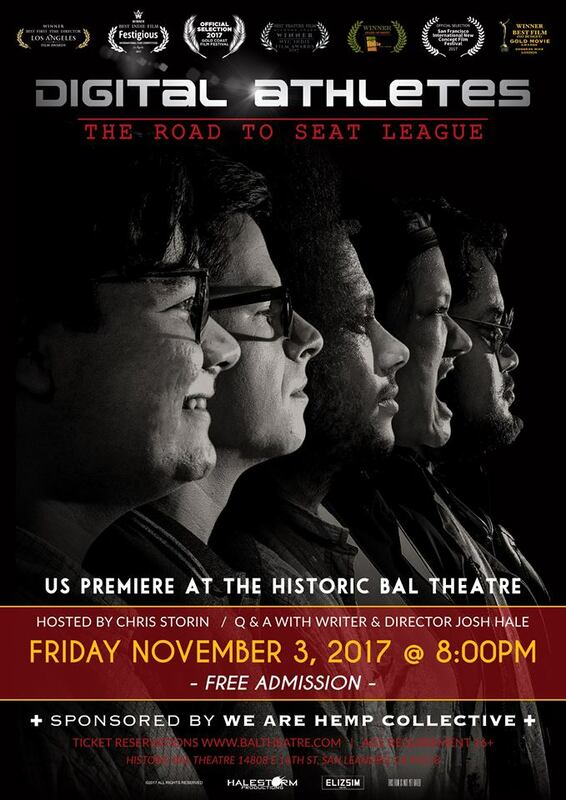 His mockumentary film “Digital Athletes: The Road to Seat League” just had its North American premiere at the Historic Bay Theatre on November 3, and has already picked up multiple awards and official selections to festivals around the world. 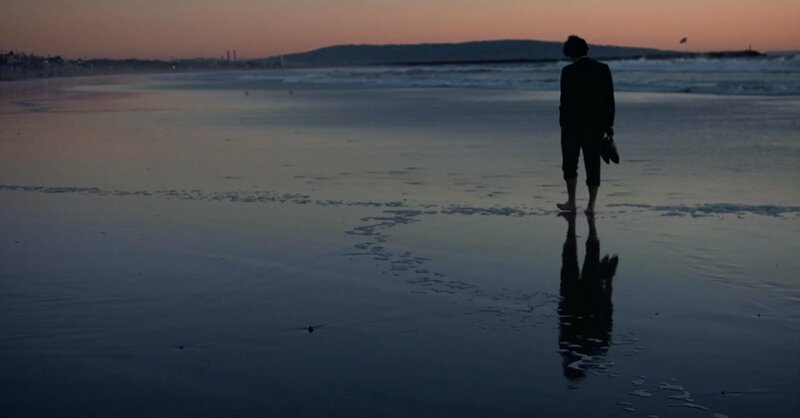 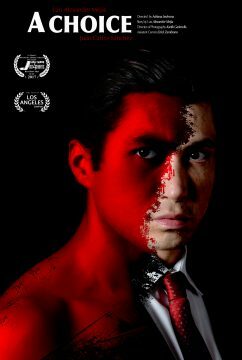 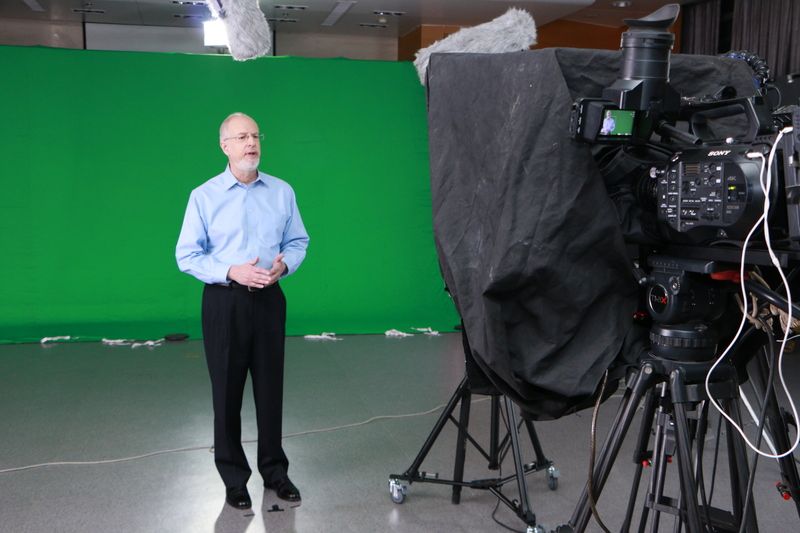 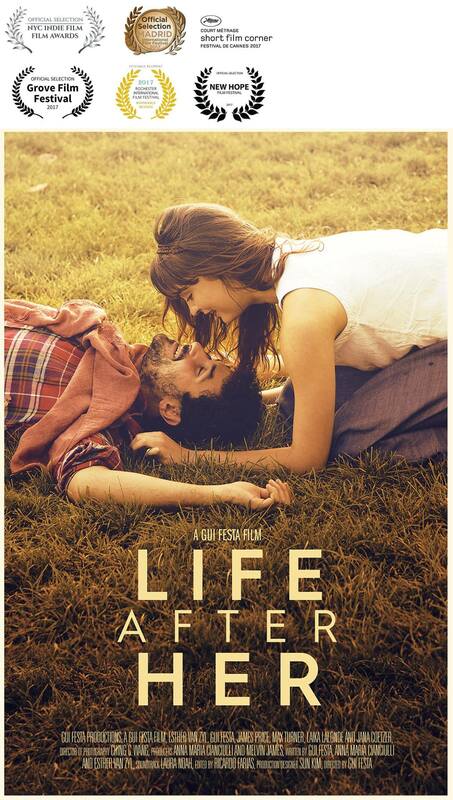 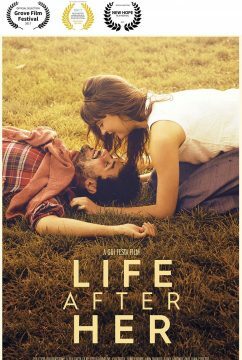 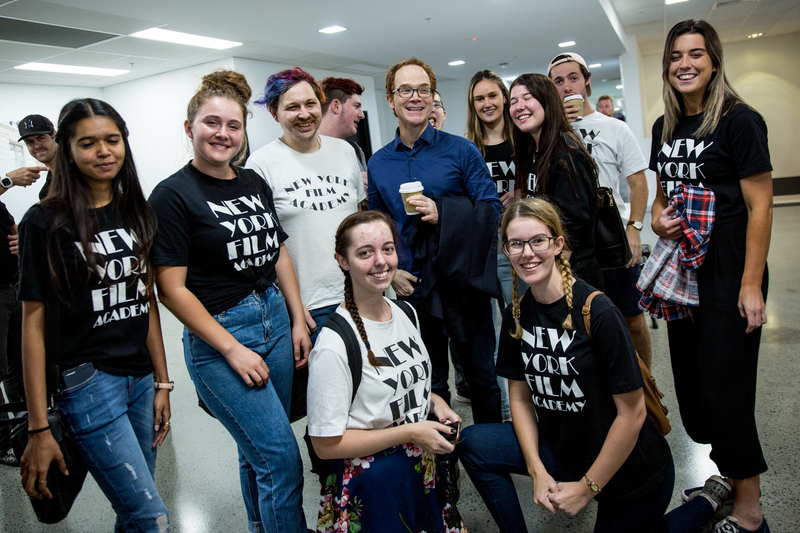 “I am on cloud nine,” Hale told NYFA while in California showcasing his film. 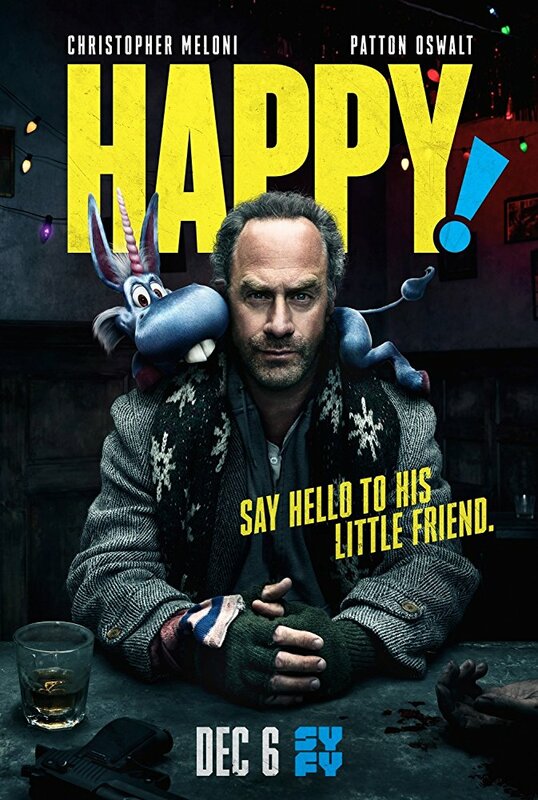 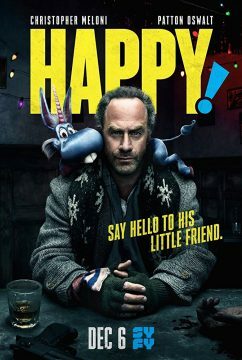 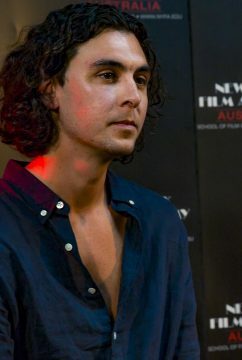 Hale told The San Leandro Times that his mockumentary style was inspired by comedy classics like “This is Spinal Tap” and “Best in Show.” He continued, “I find E-Sports fascinating.” Hale shot the entire feature-length film on Australia’s Gold Coast on a tiny budget of $5000, using local actors. 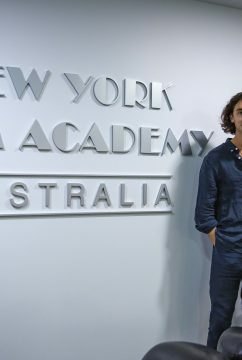 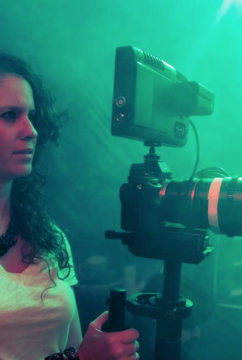 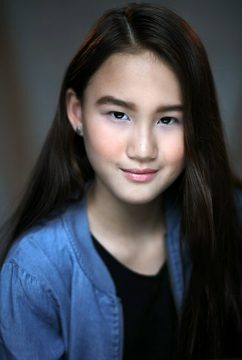 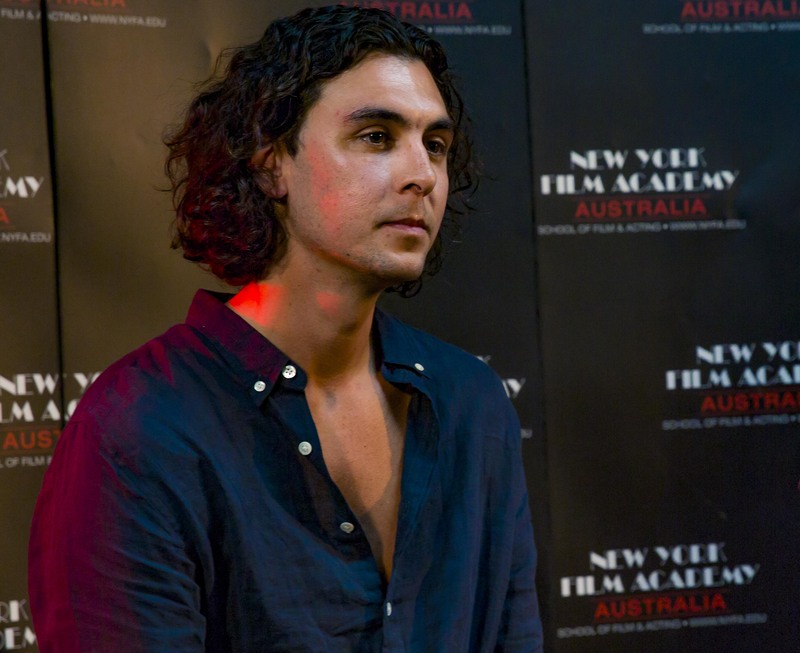 Hale graduated from the Advanced Diploma of Screen and Media in Filmmaking at NYFA AU Gold Coast. 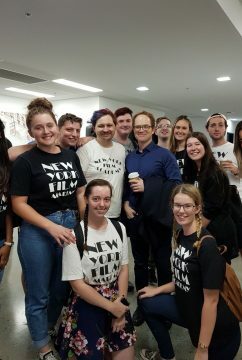 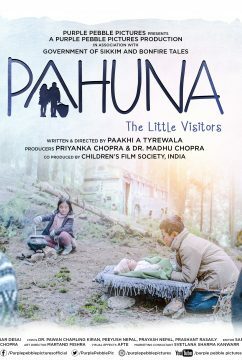 Skills he developed during his time at NYFA AU, including producing and budgeting, were the fundamental skills he utilized during the production. 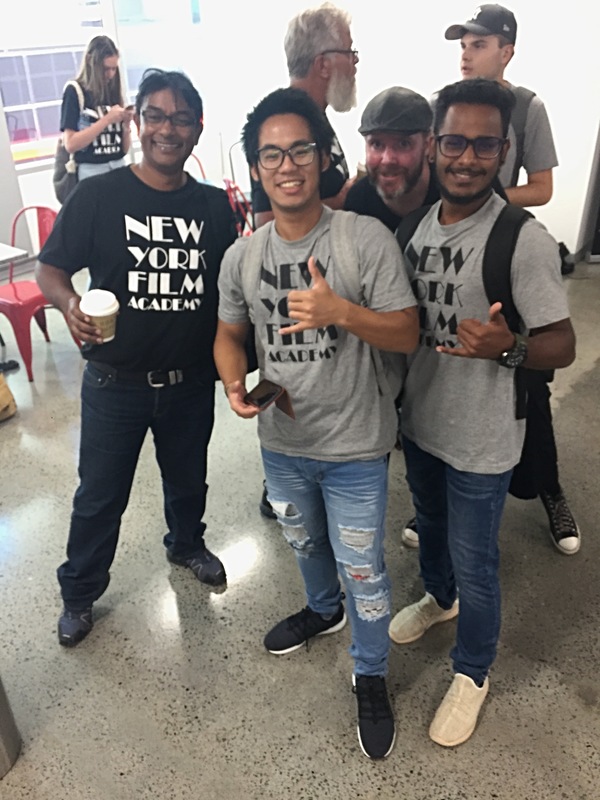 Hale is still a part of the NYFA AU family, and is now passing on his experience and knowledge at the campus as a Teaching Assistant. 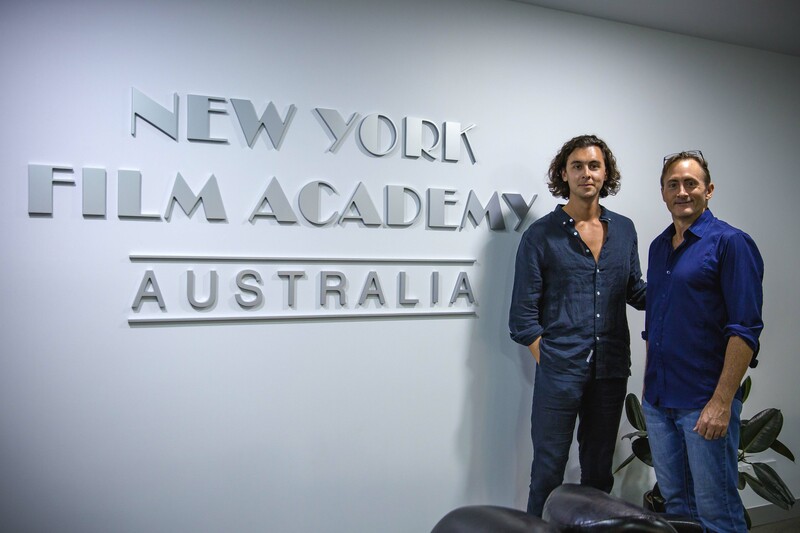 The New York Film Academy congratulates Josh Hale on his success, and looks forward to seeing what further accomplishments his hard work and dedication will bring! 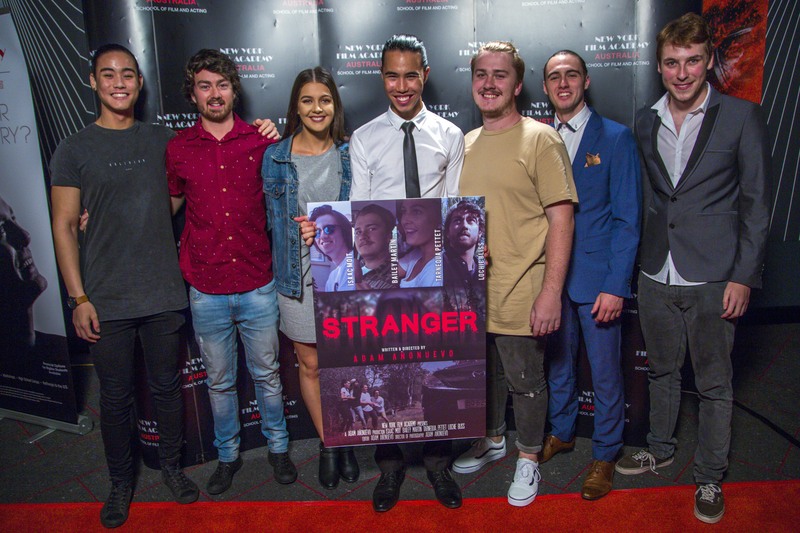 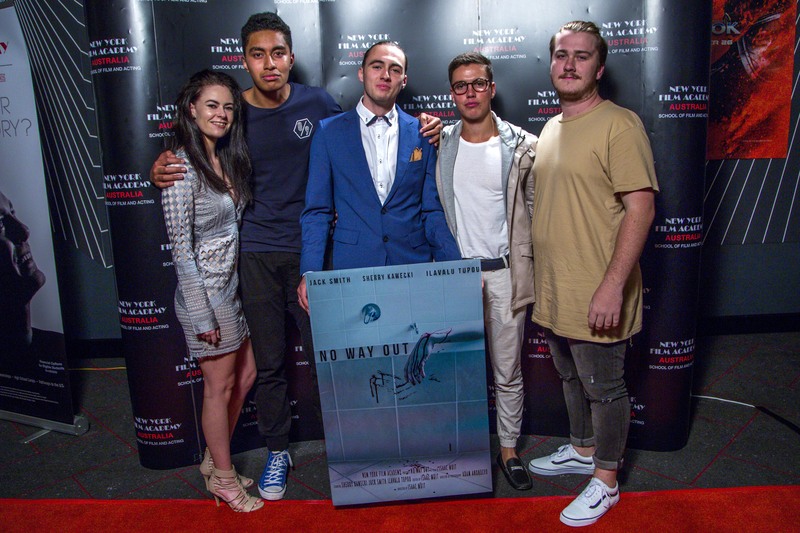 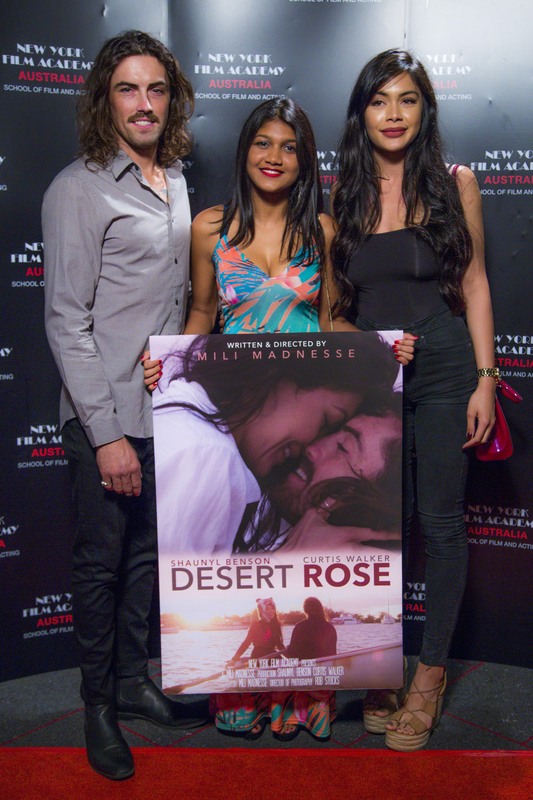 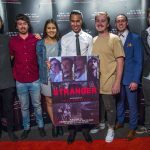 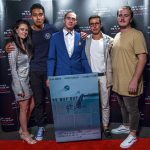 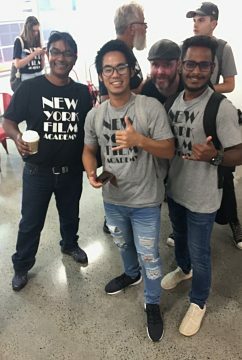 This October, the New York Film Academy Gold Coast campus held a joined graduation screening night for Sept. 2016 Filmmakers and March 2017 Filmmaking at Event Cinemas in Pacific Fair. 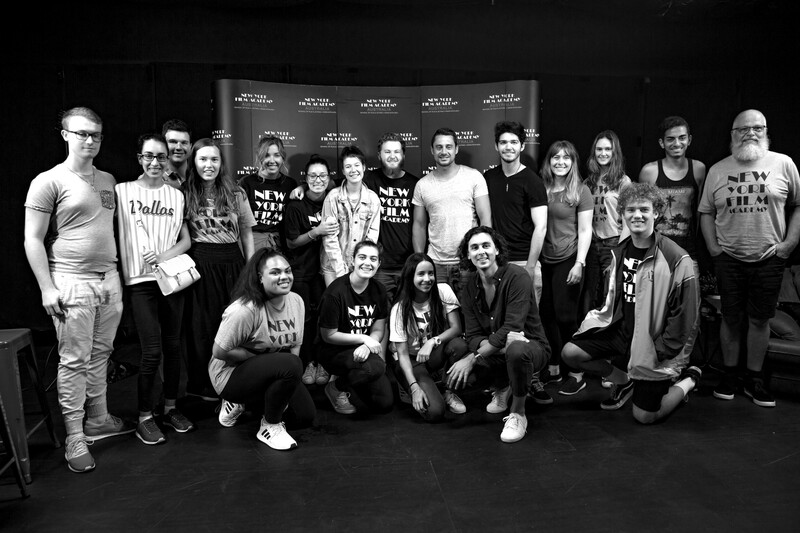 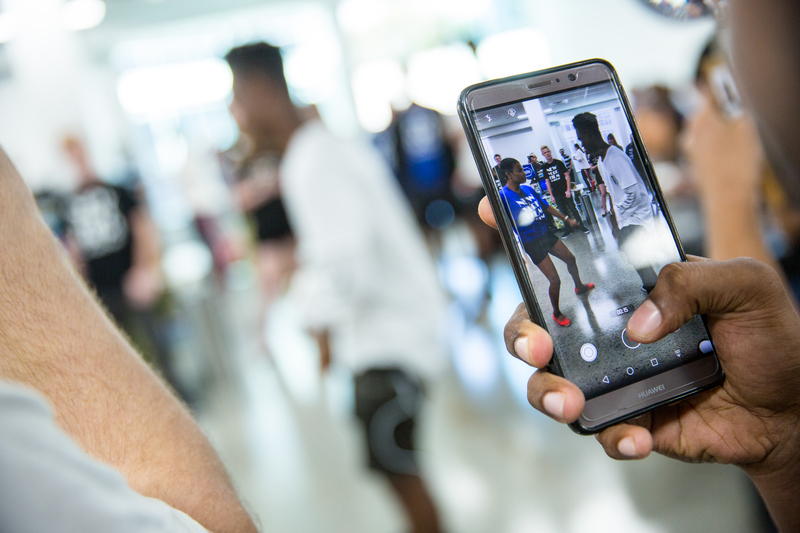 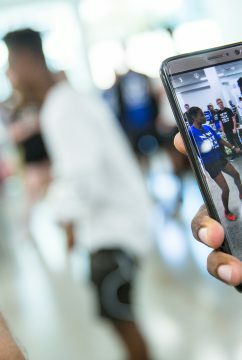 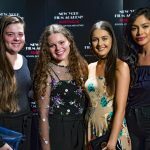 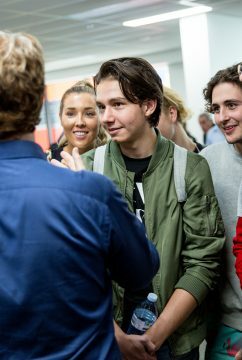 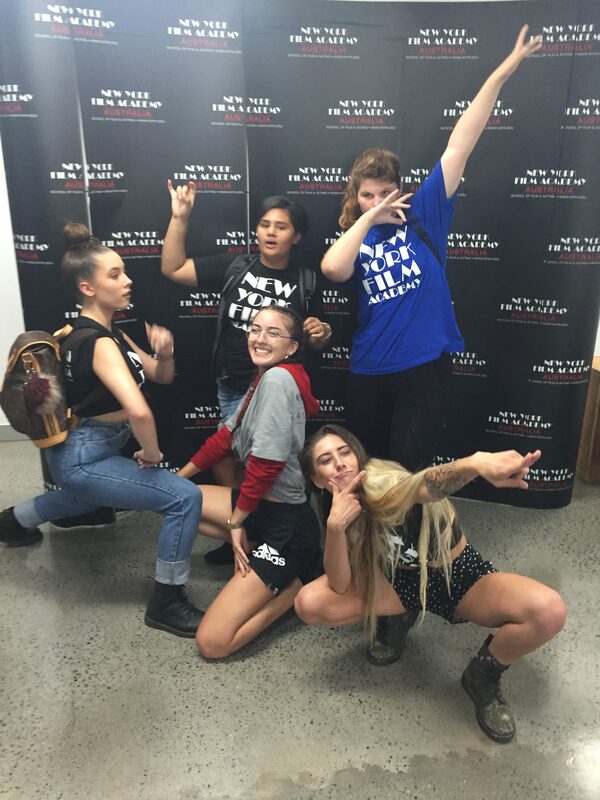 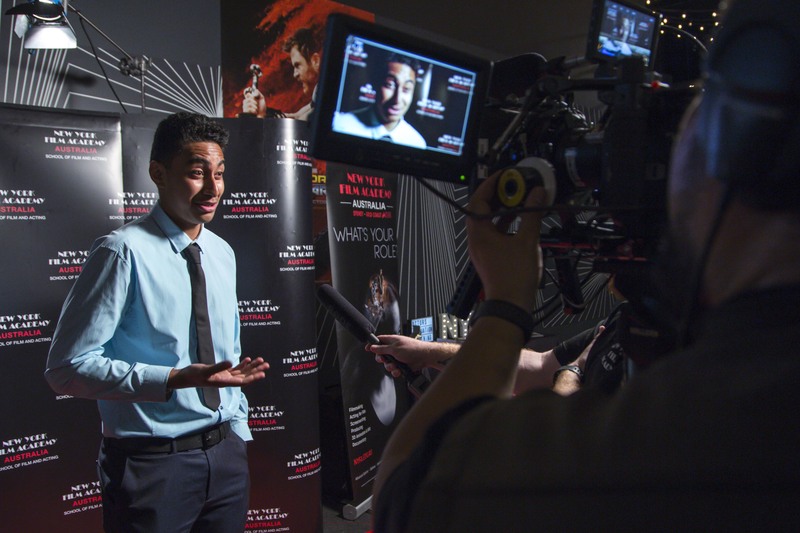 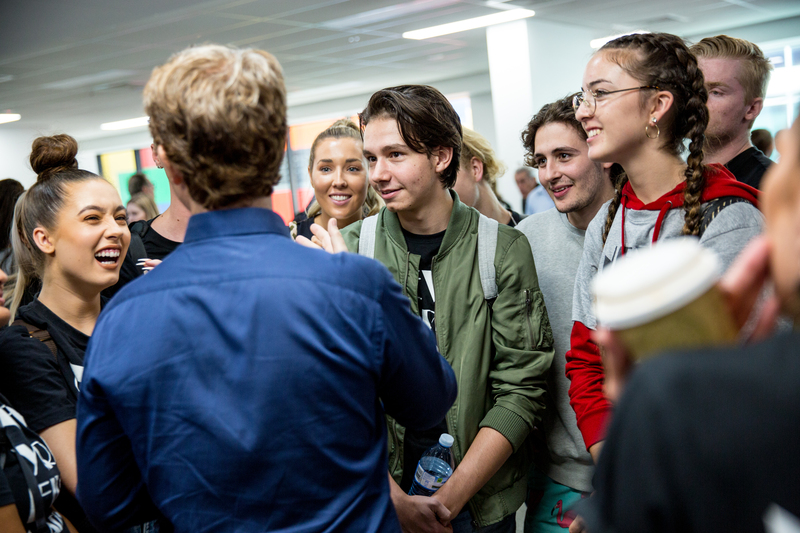 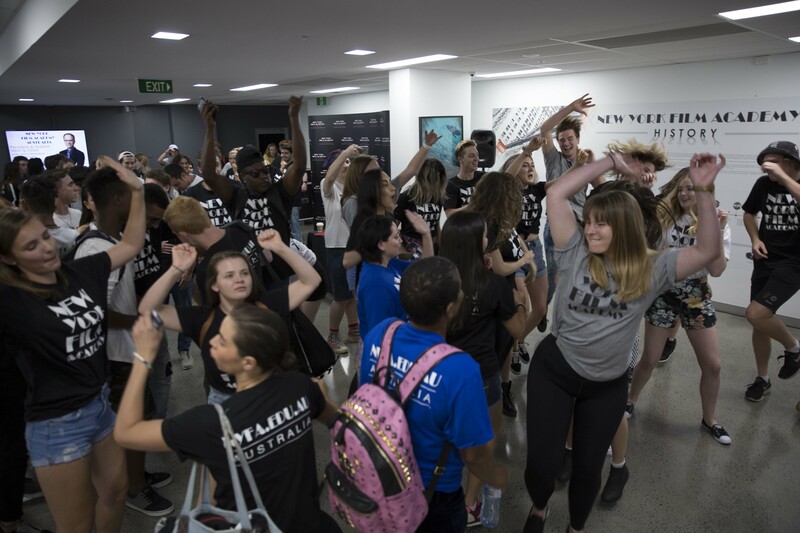 Students and guests gathered in the foyer, where they were photographed at our NYFA media wall before being ushered into the cinema to watch the end of year films. 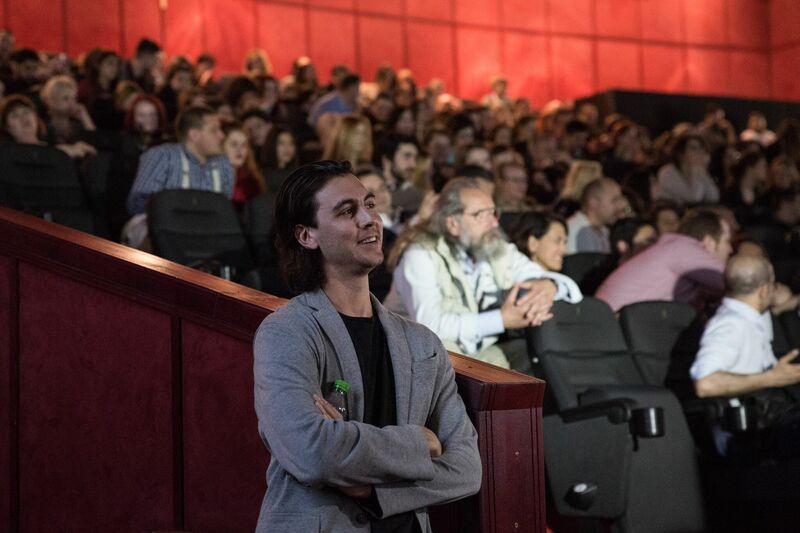 All graduating students screened incredibly diverse and high quality films that showcased their exceptional skills in the art of storytelling. 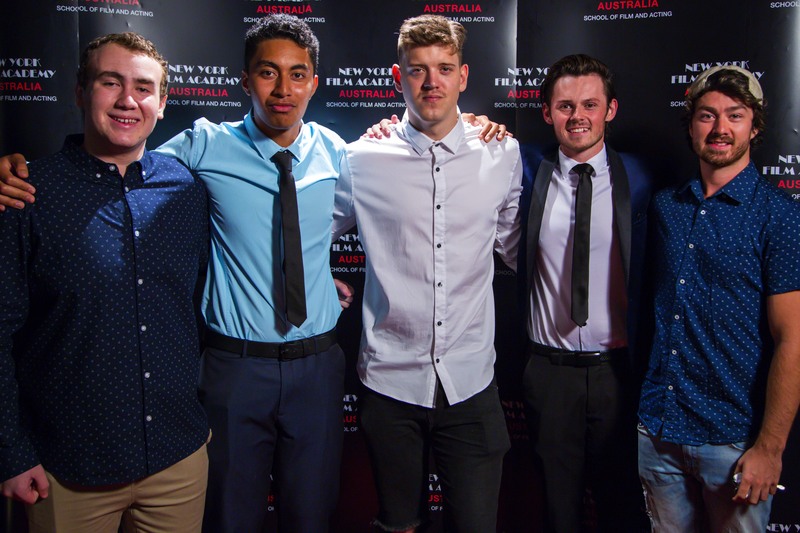 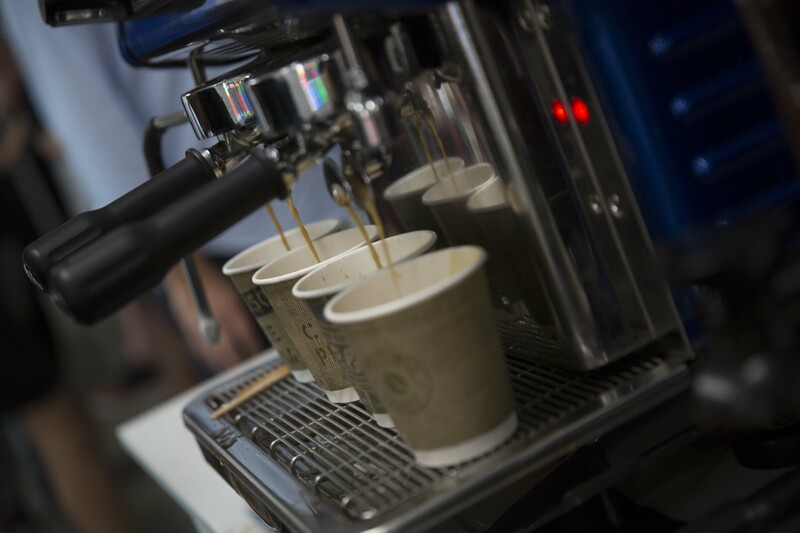 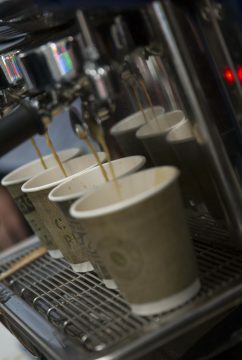 Congratulations to the graduating students: Brad Smith, Emilie Chetty, Lynne Cairncross, Adam Anonuevo, Callum Taylor, Isaac Moit and Philip Paton. 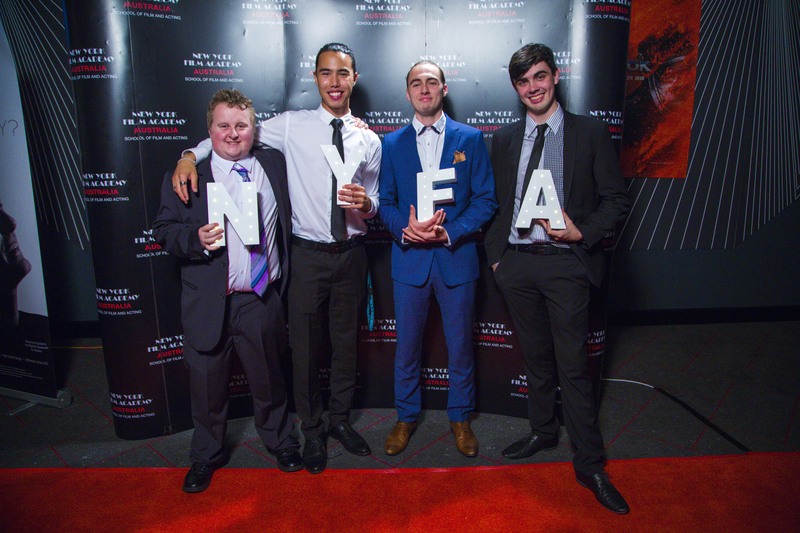 We are very proud of their skills, motivation and talent, and can’t wait to see them succeed in their chosen fields. 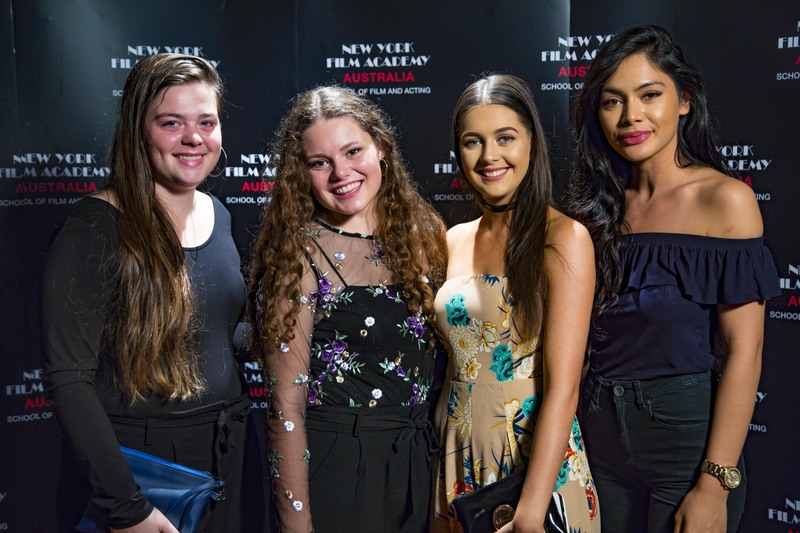 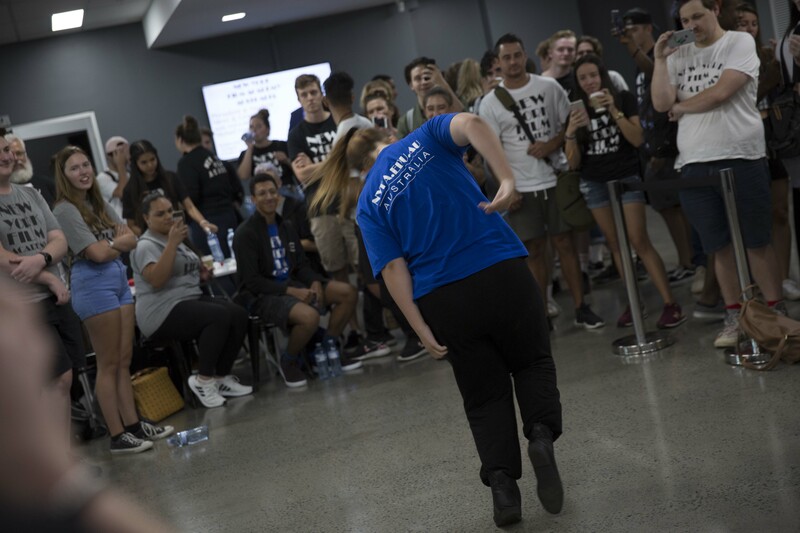 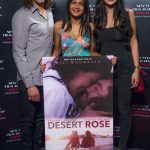 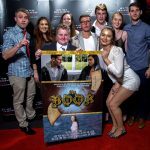 This October, the New York Film Academy Gold Coast campus held the March 2017 Diploma of Acting for Film end of year screening at Event Cinemas in Pacific Fair. 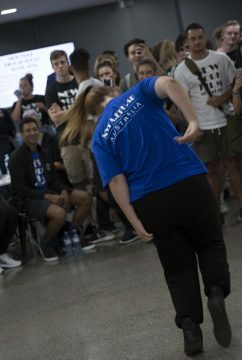 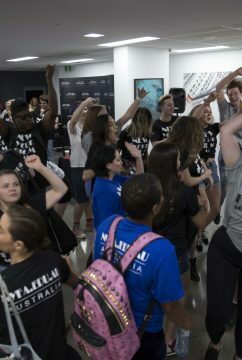 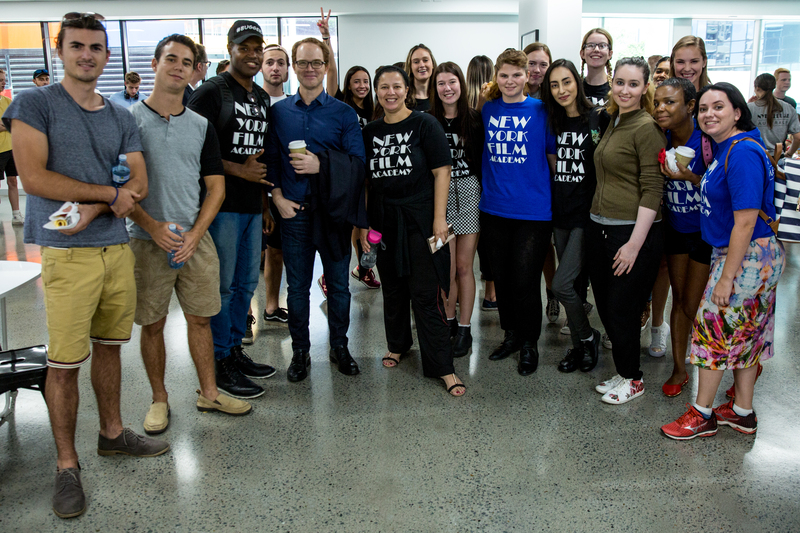 The event included an opening reception for students, friends and family, and concluded with a screening of the students’ performances filmed throughout their year at NYFA Gold Coast. 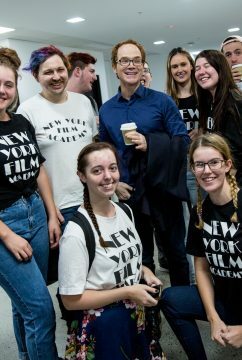 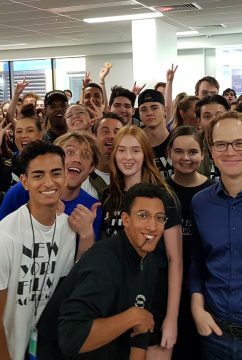 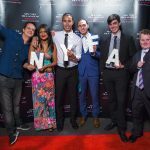 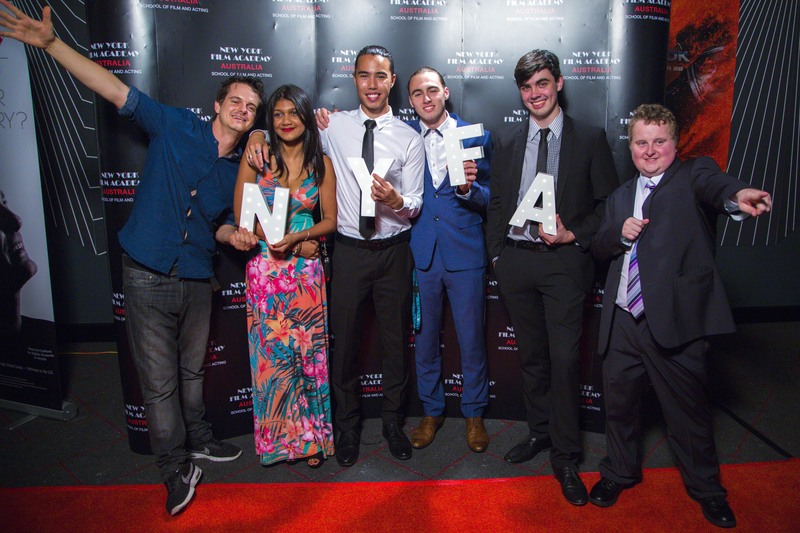 On behalf of all the staff and lecturers at the New York Film Academy Gold Coast, we would like to give our sincerest congratulations to the following graduating students: Amber Monaghan, Christopher Le Poidevinm, Ilavalu Tupou, Jake Dodds, Lachlan Crane, Lachlan Bliss, Olivia Samin, Shaunyl Benson and Tarnequa Pettet.